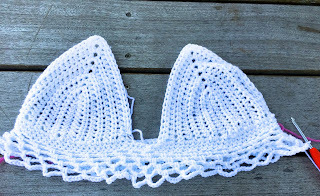 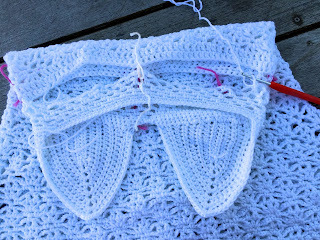 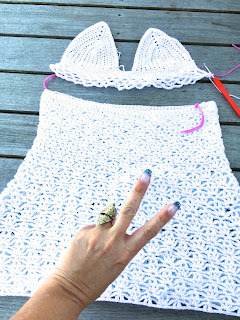 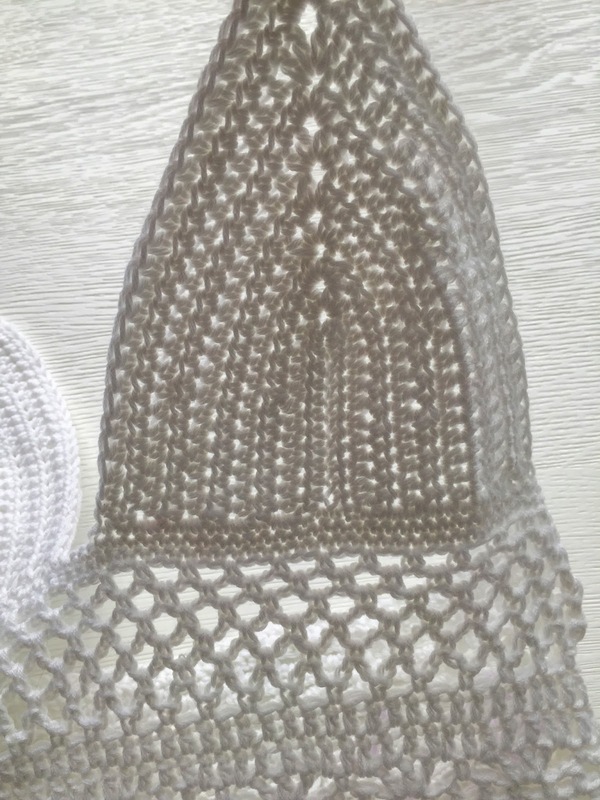 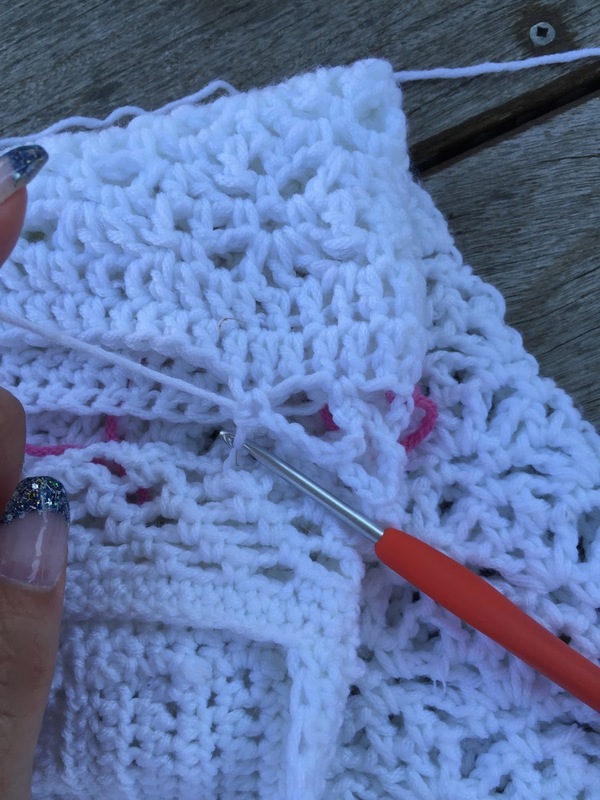 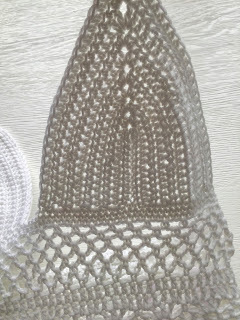 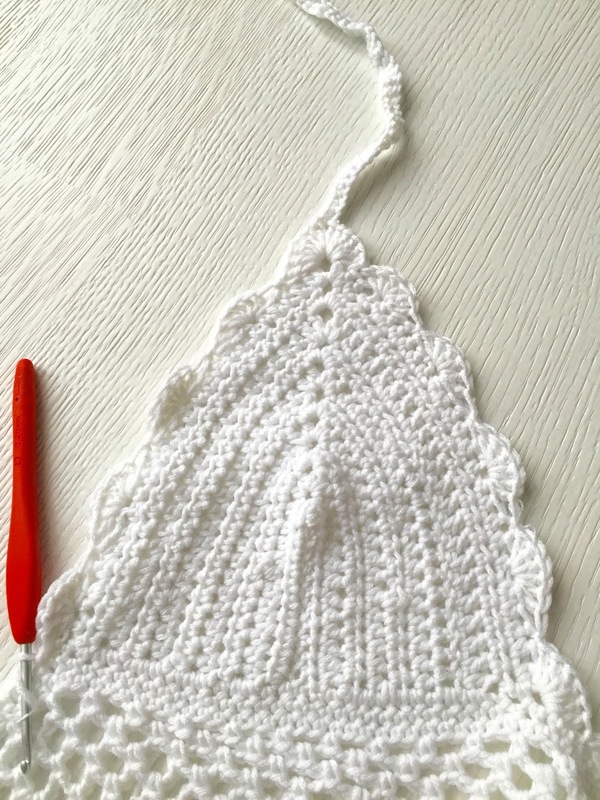 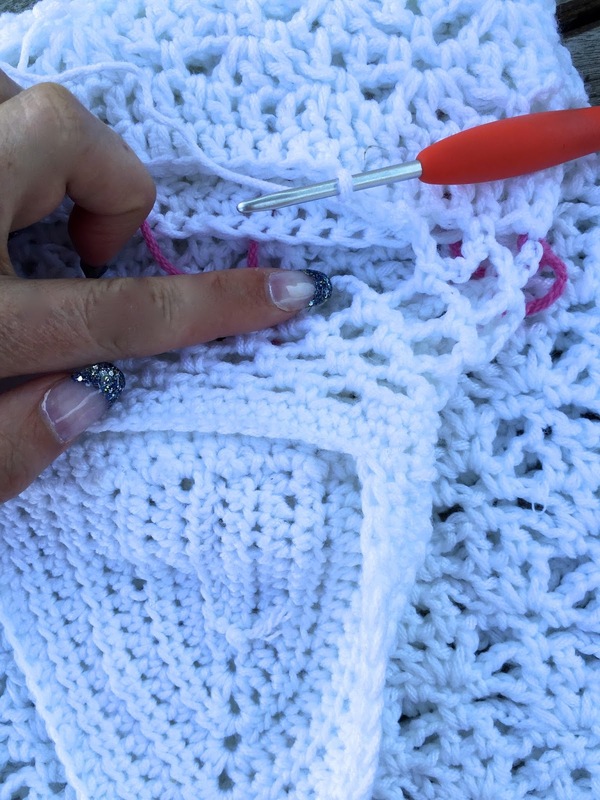 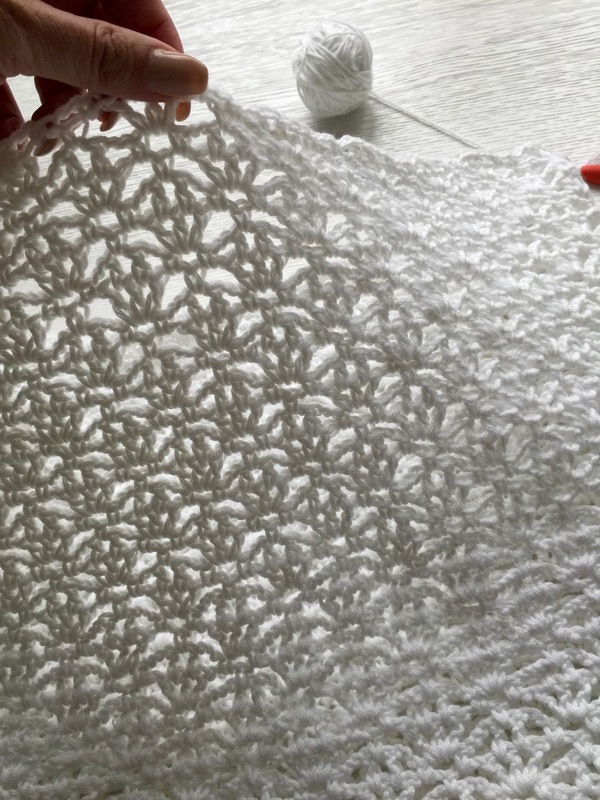 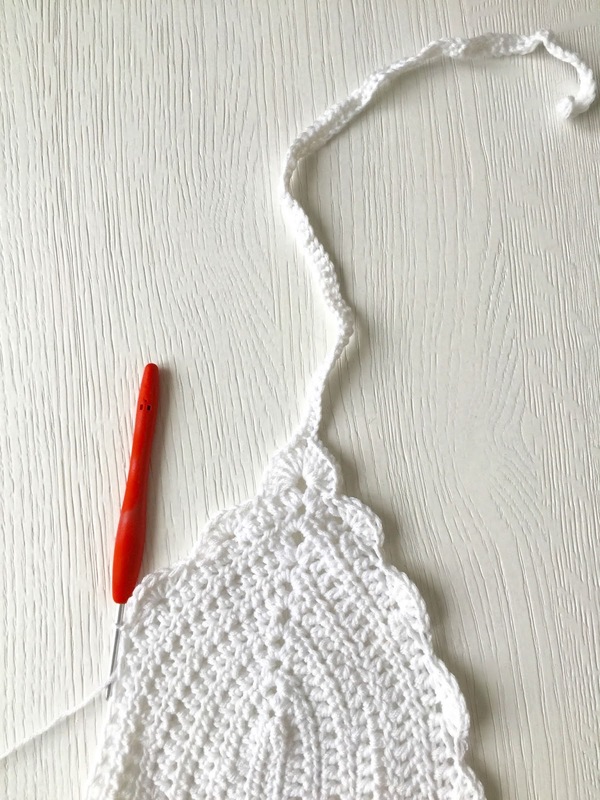 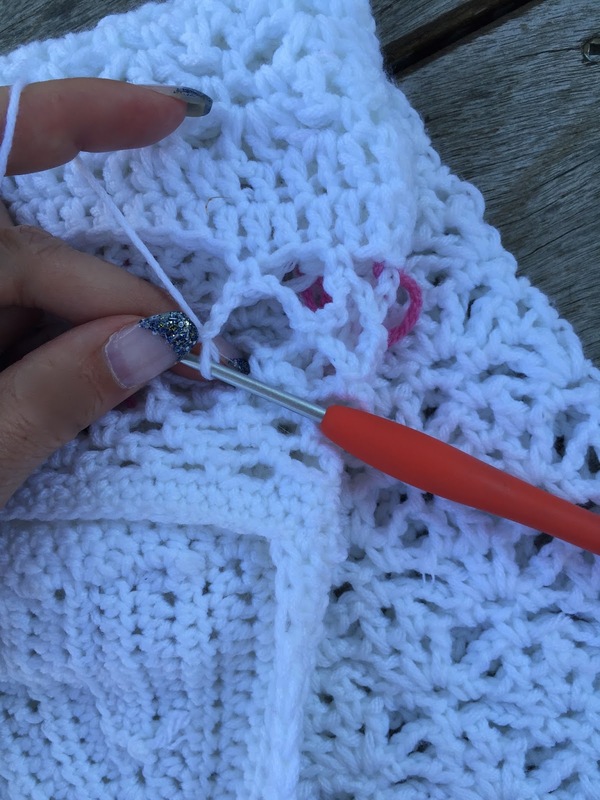 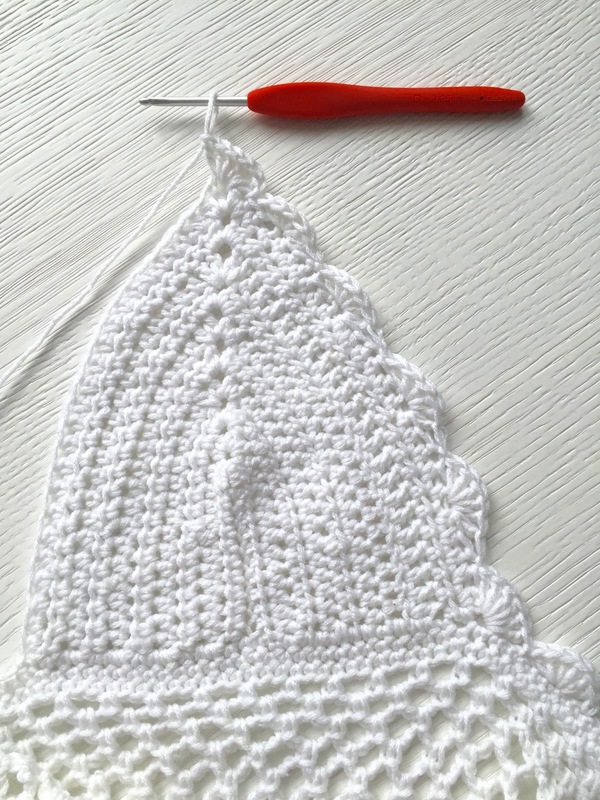 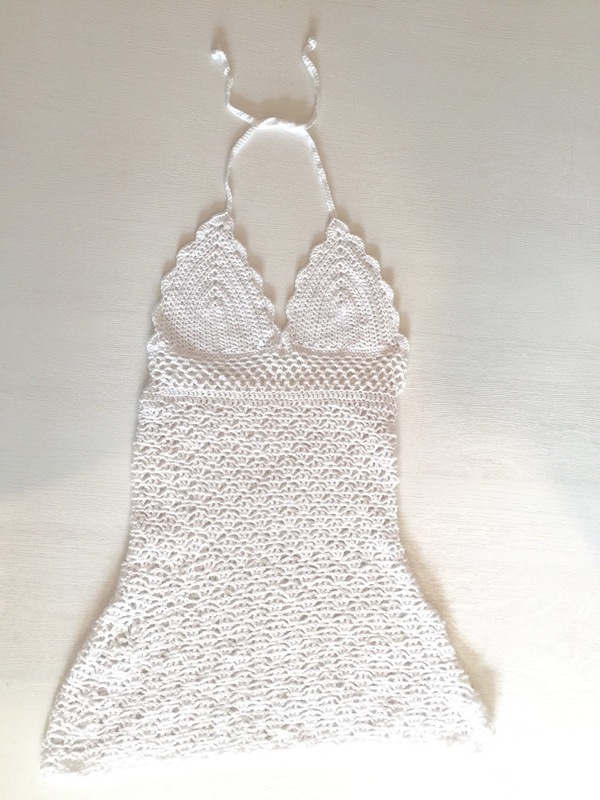 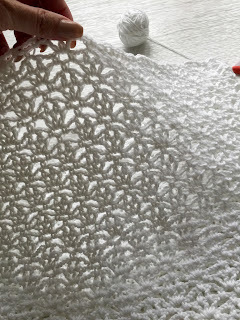 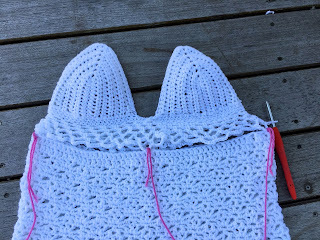 Once you finish Crocheting this lovely dress I created for you while vacationing at the beautiful Wequasset Inn in Cape Cod . 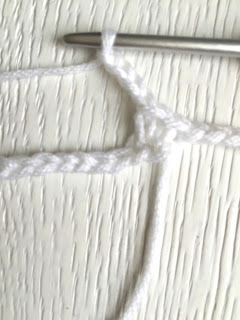 Round 7: Ch 17, 2sc in ch2 sp from previous round, ch2, 2sc in ch2 from previous round, 17 sc, turn Fasten off. 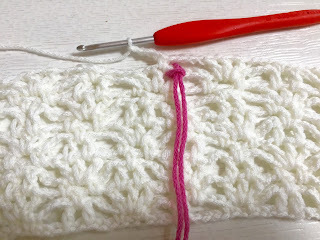 Make second one. 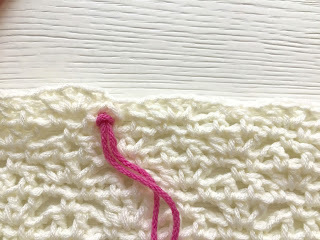 At the end of second one, do not Fasten off!!!! and all around. 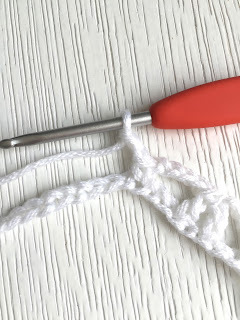 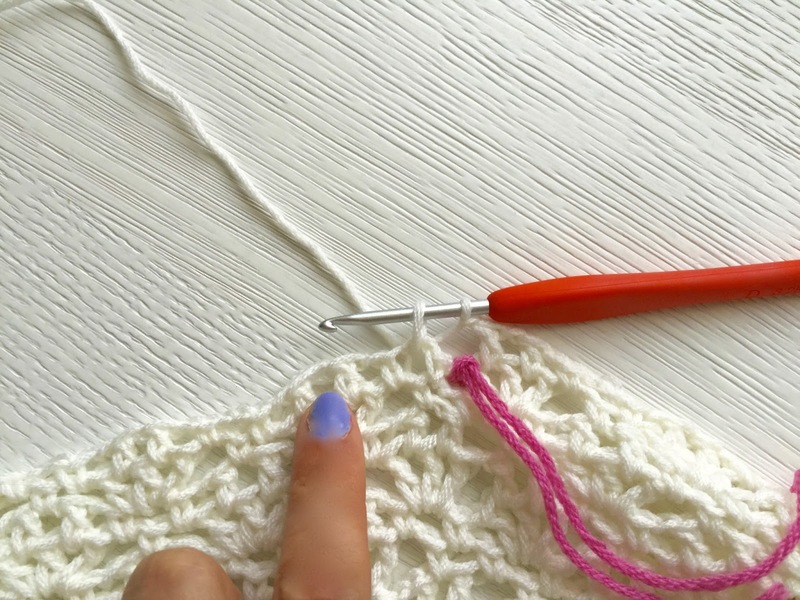 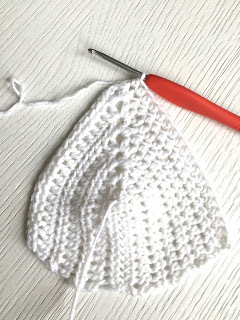 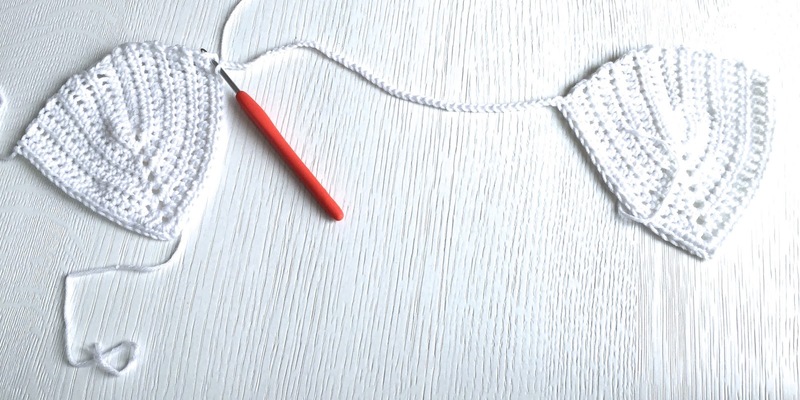 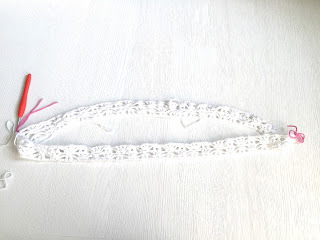 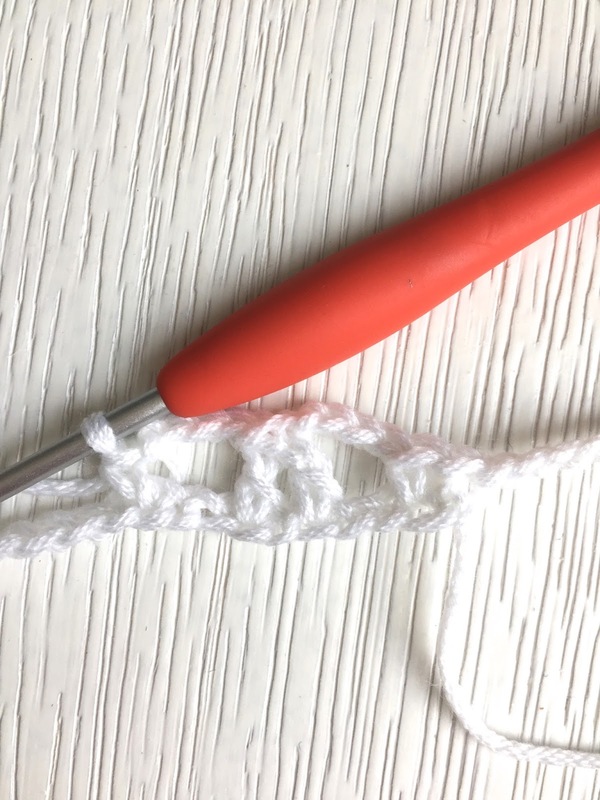 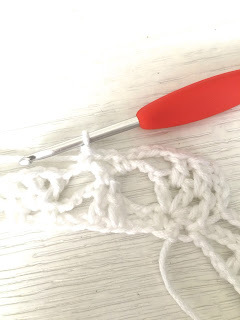 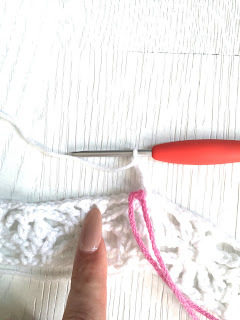 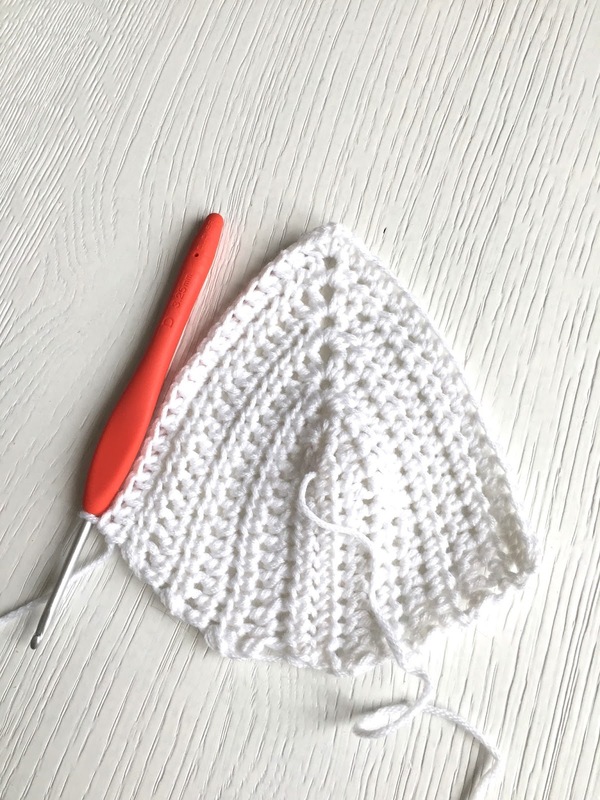 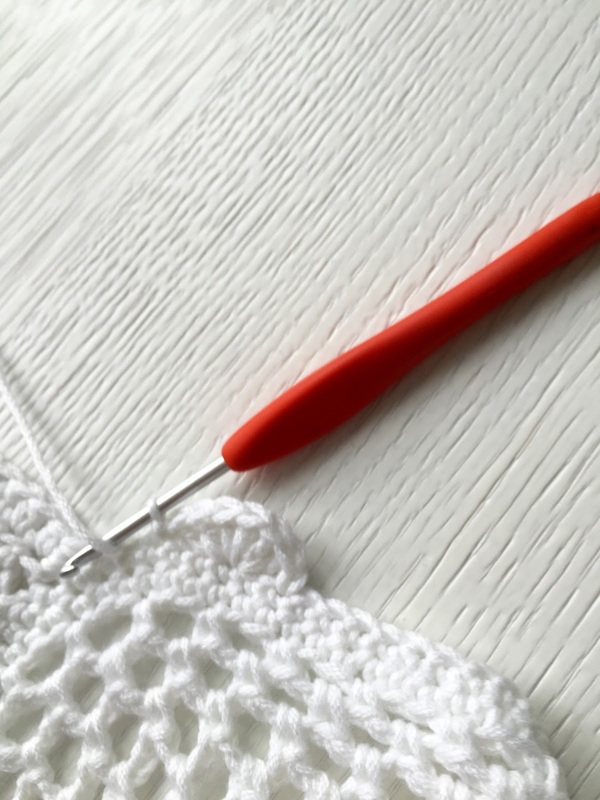 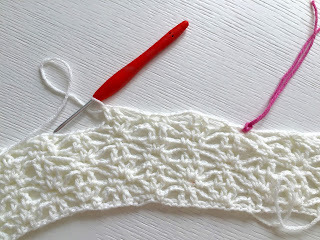 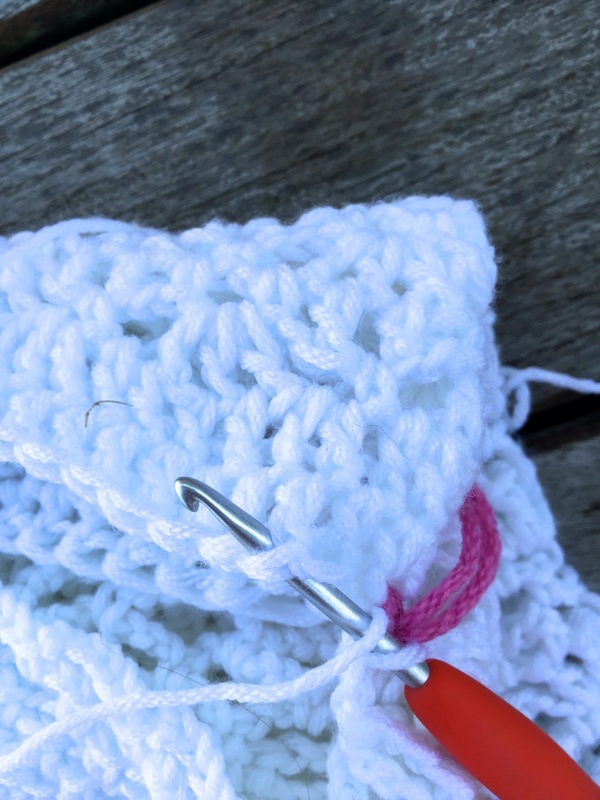 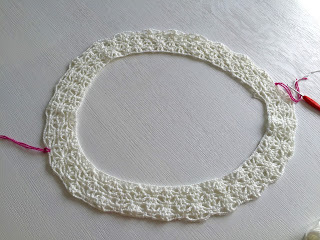 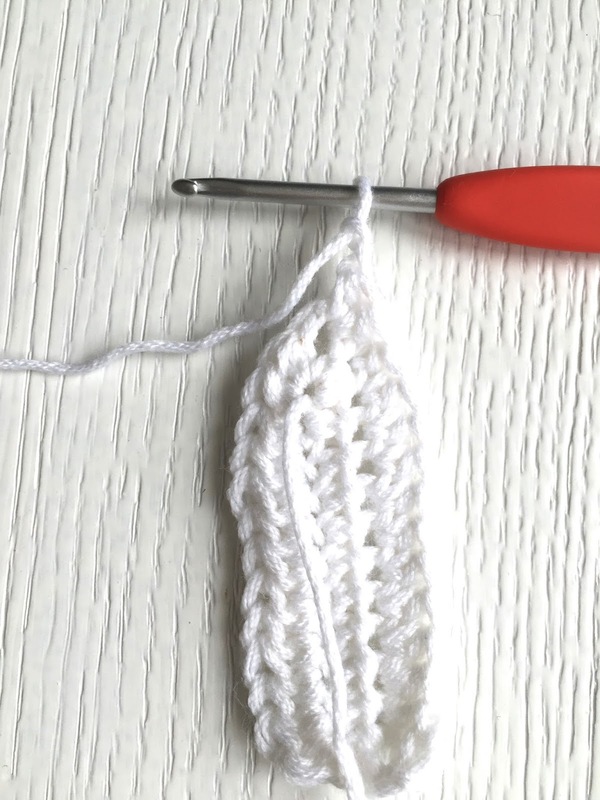 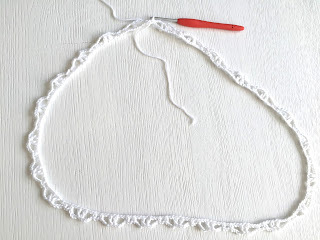 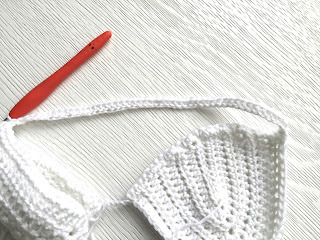 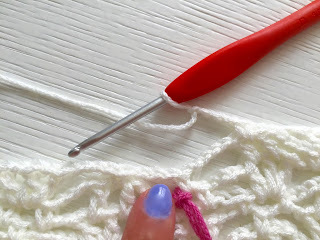 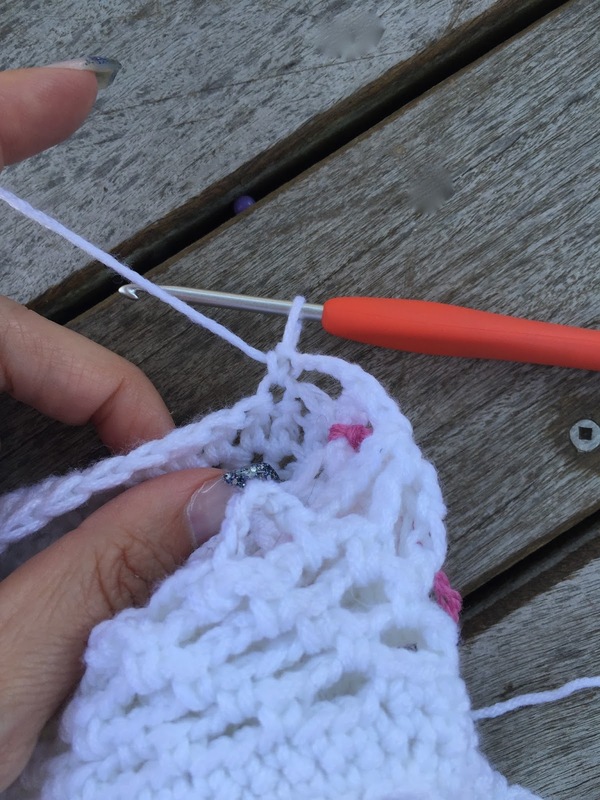 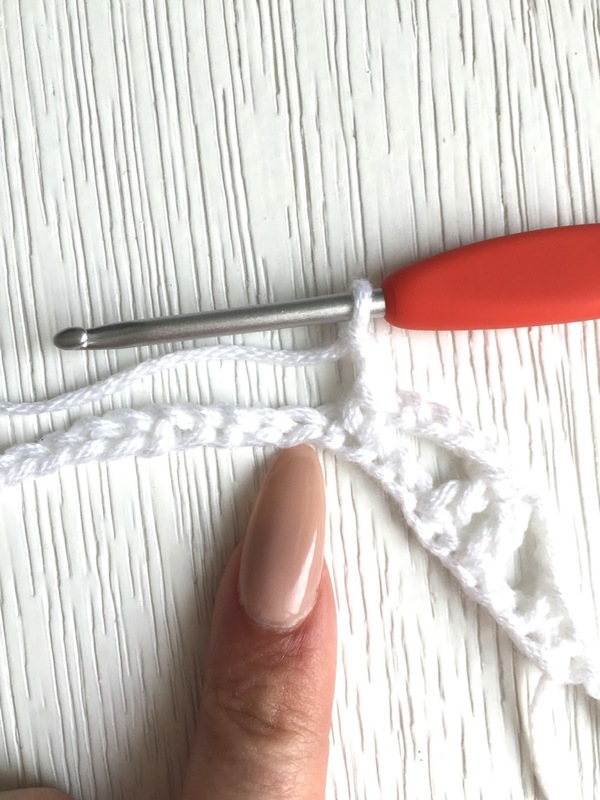 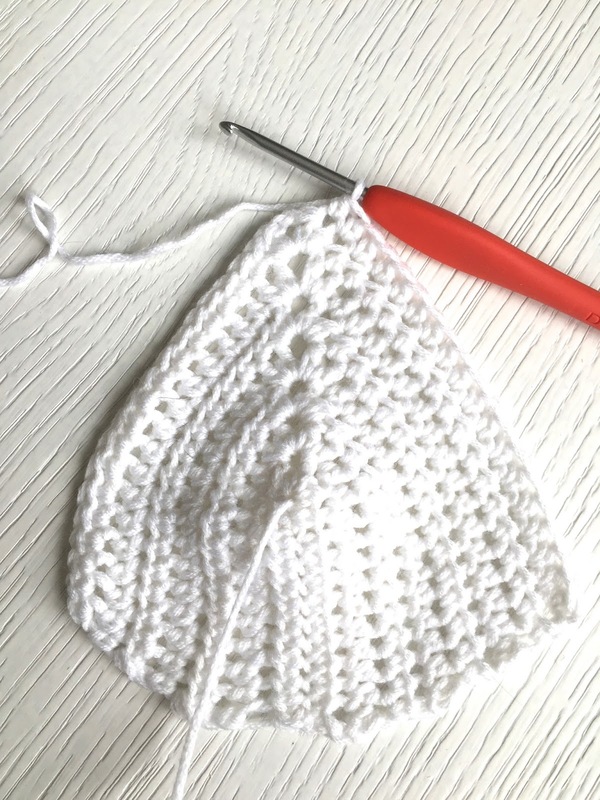 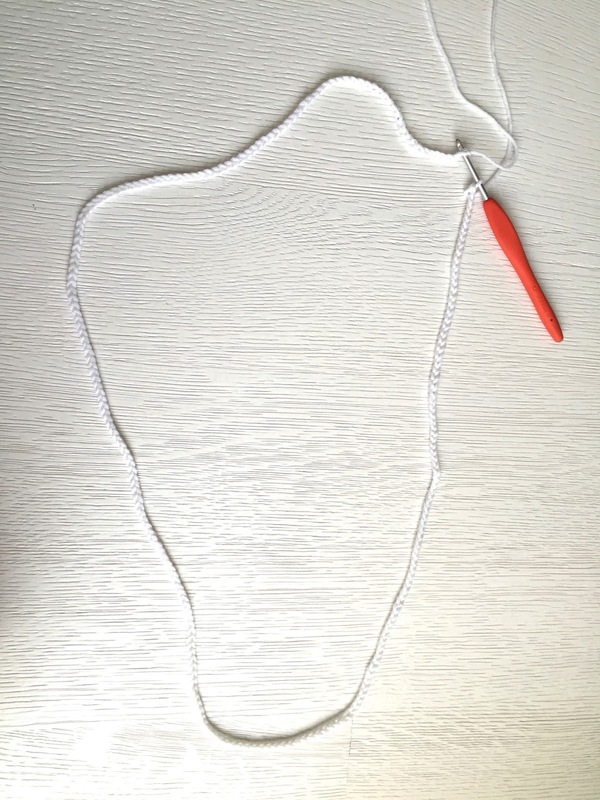 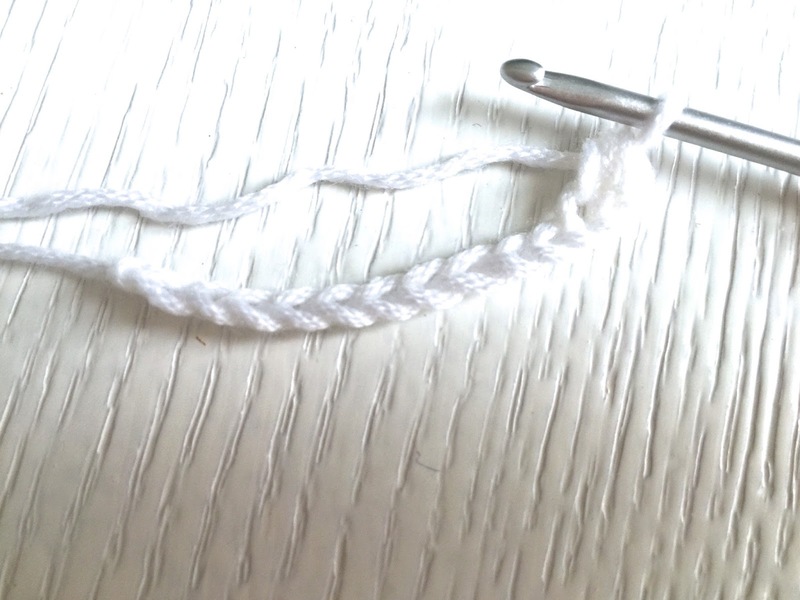 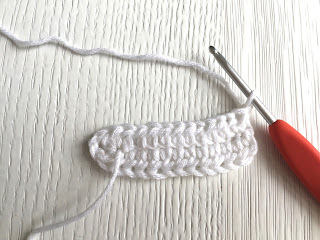 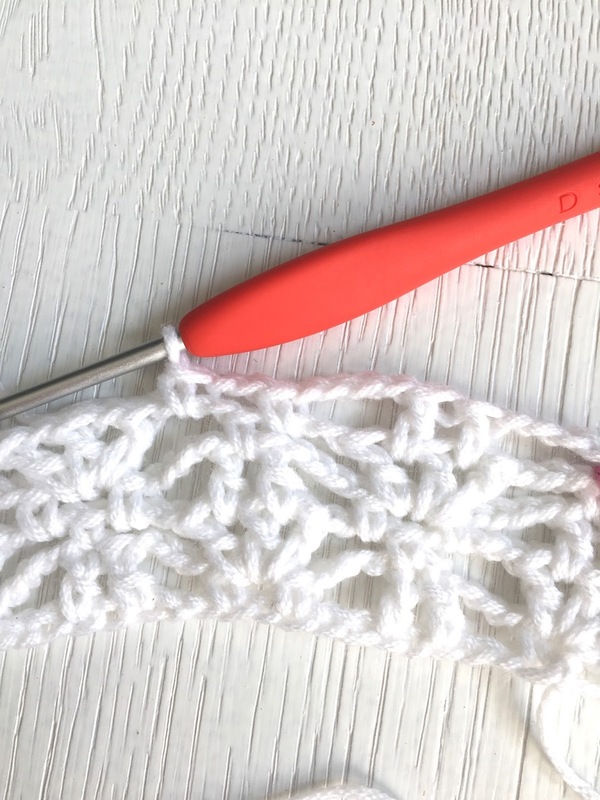 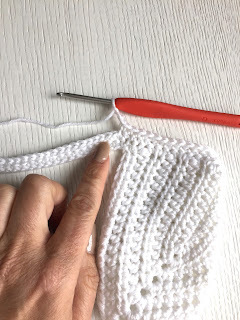 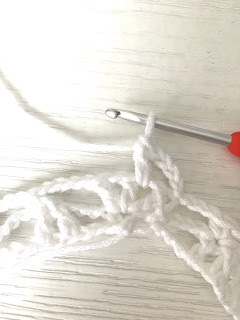 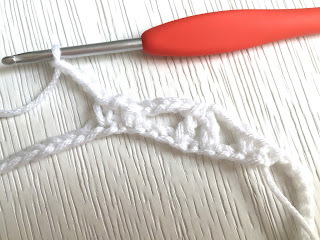 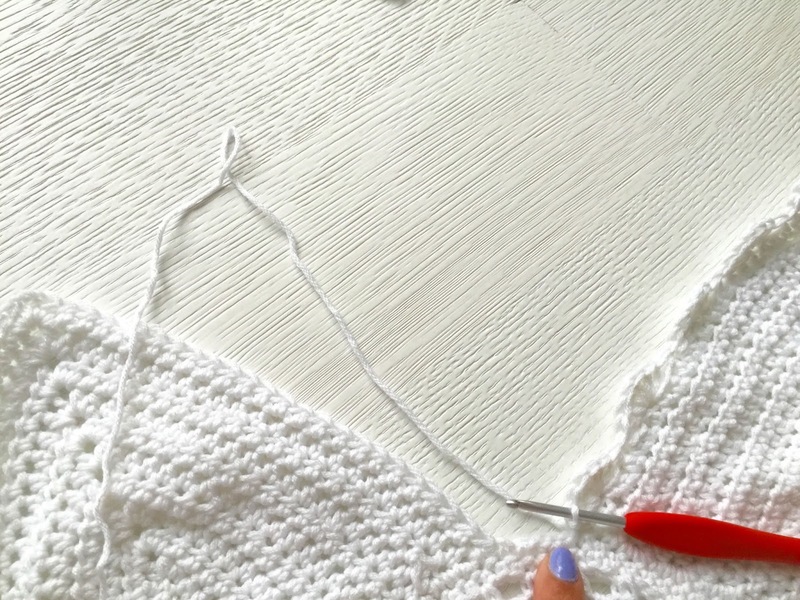 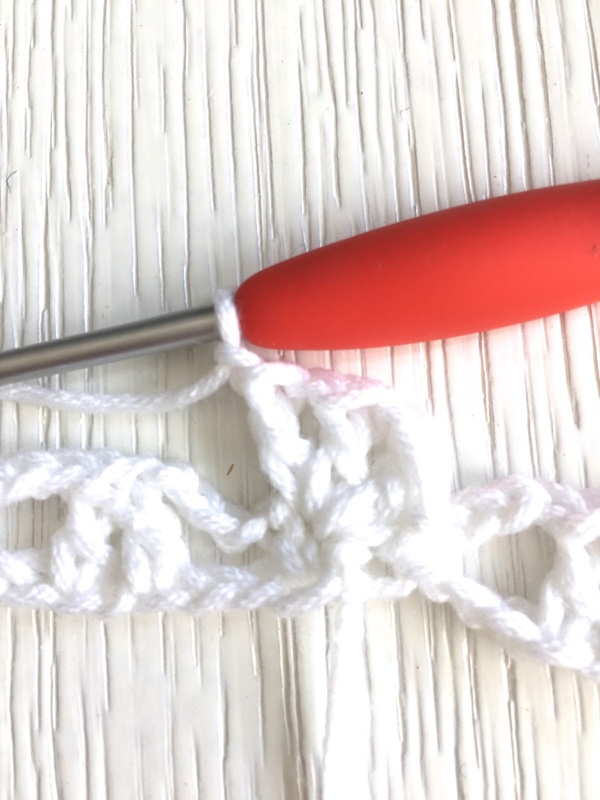 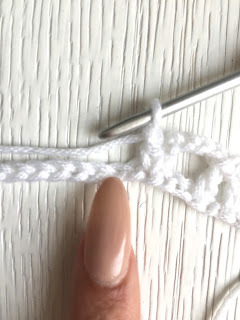 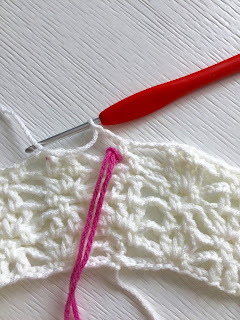 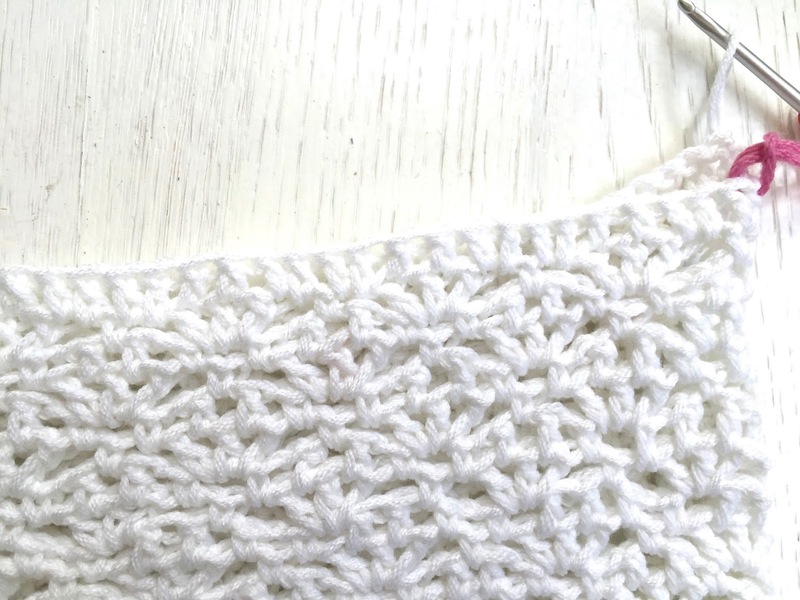 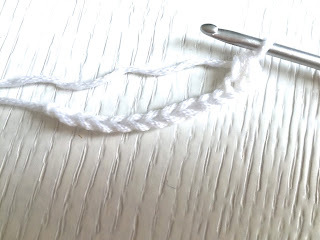 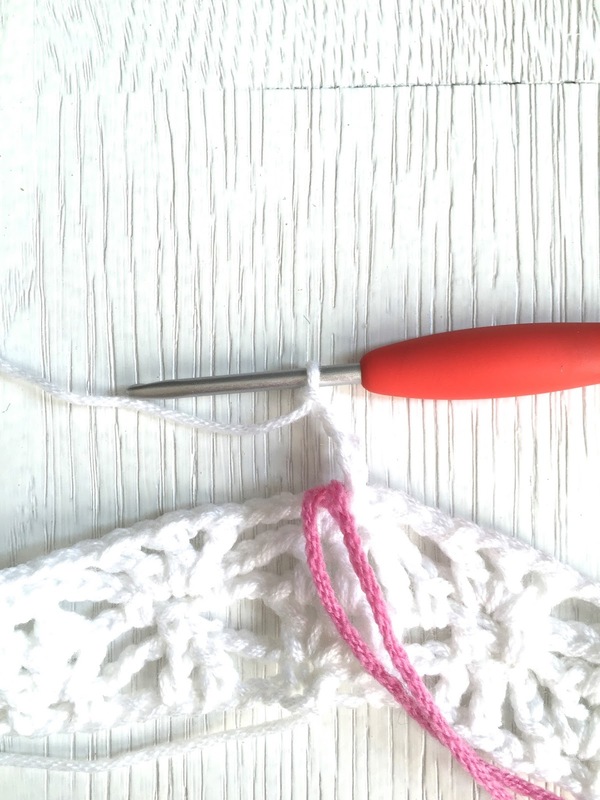 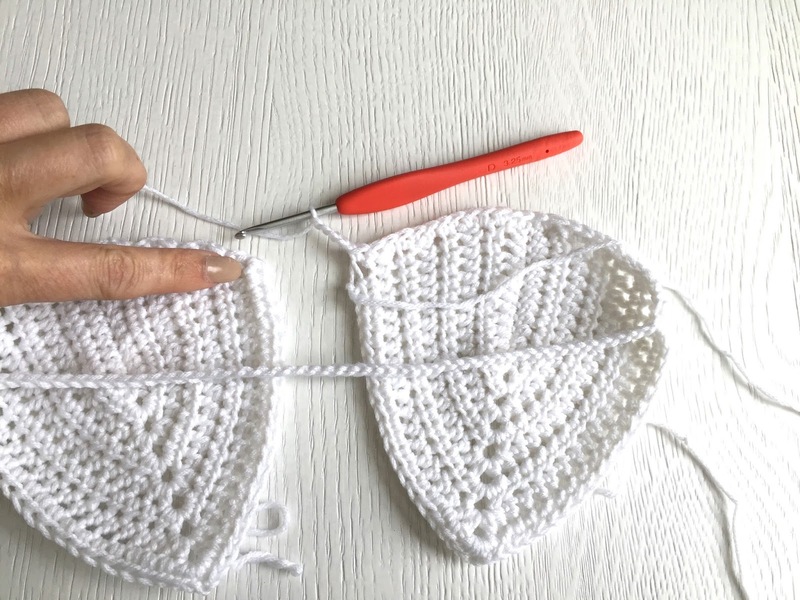 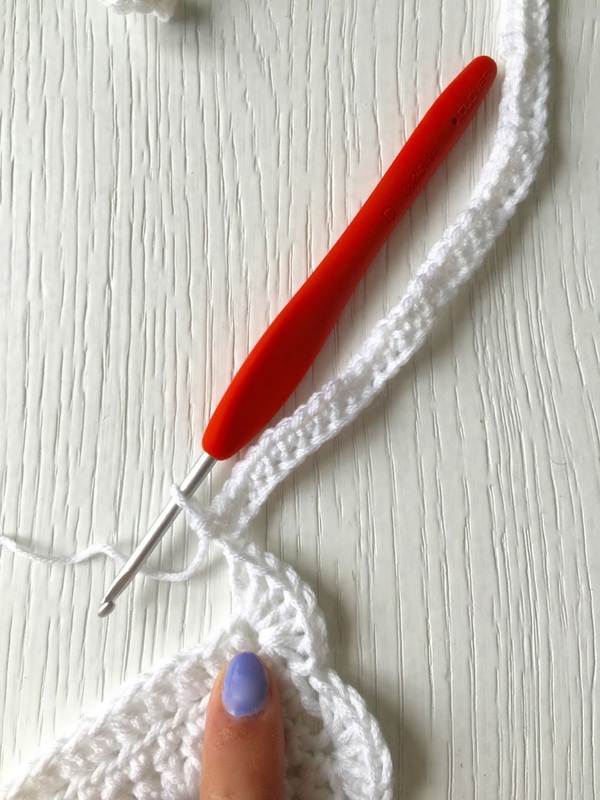 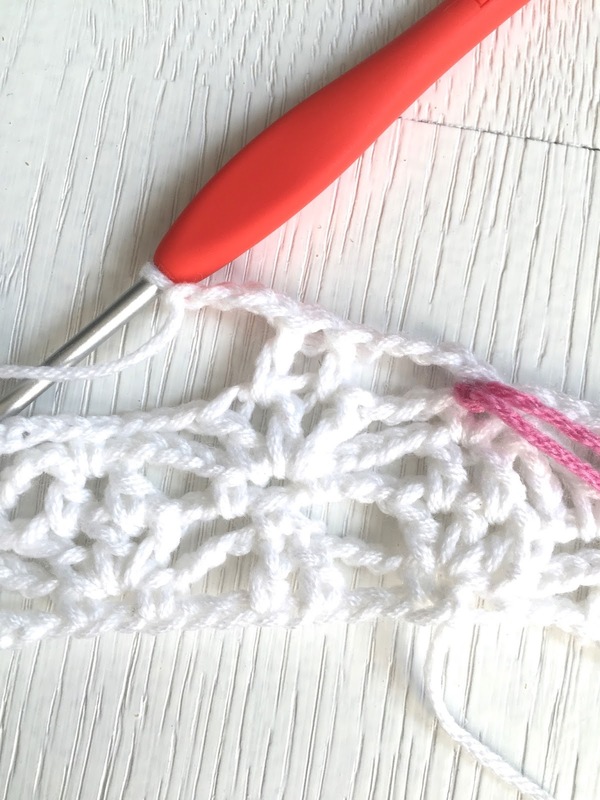 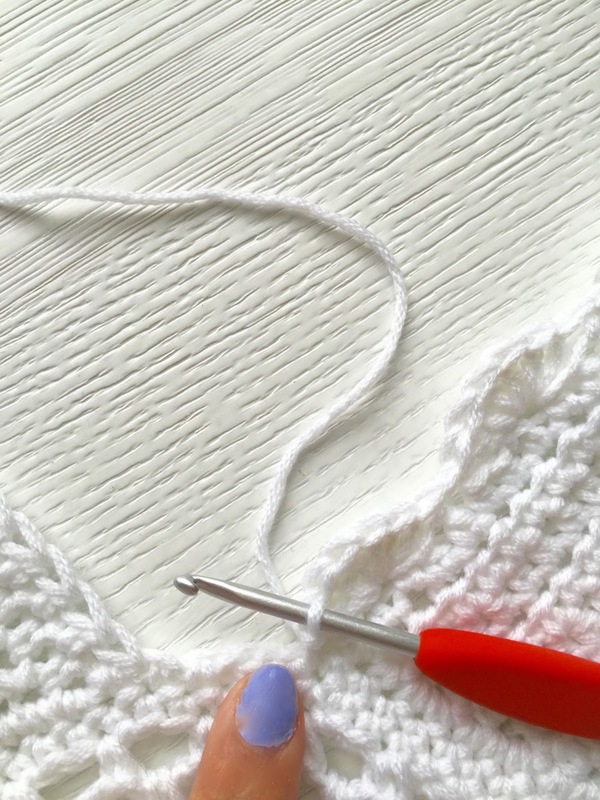 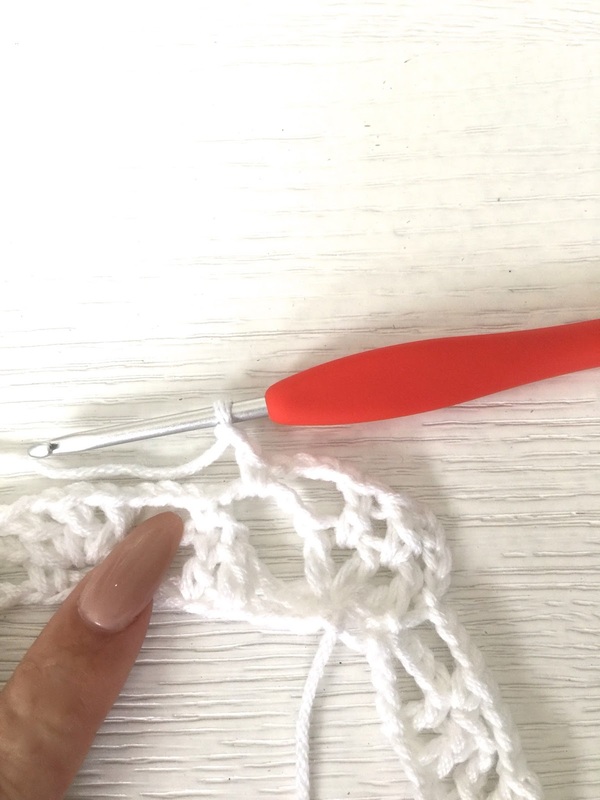 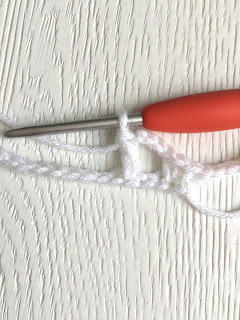 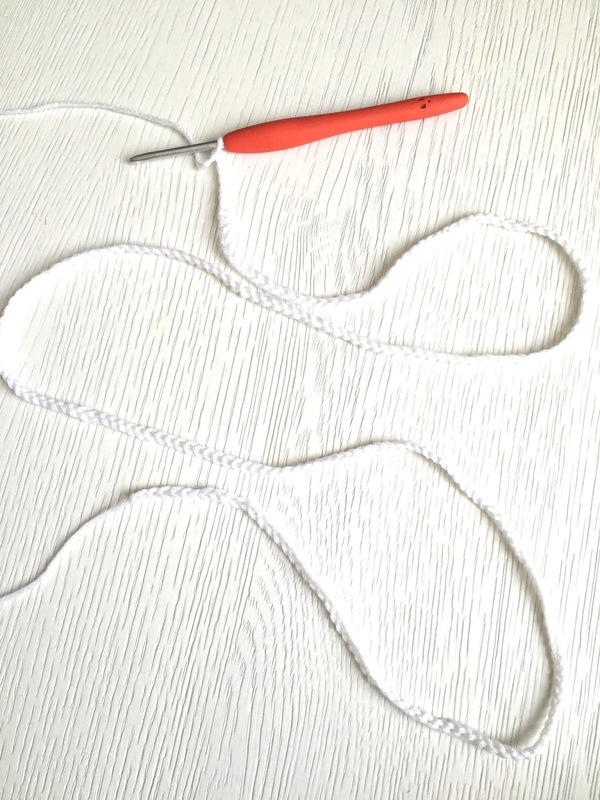 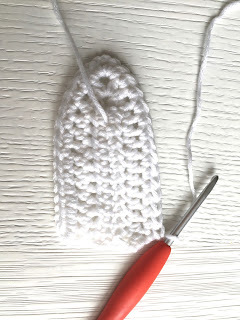 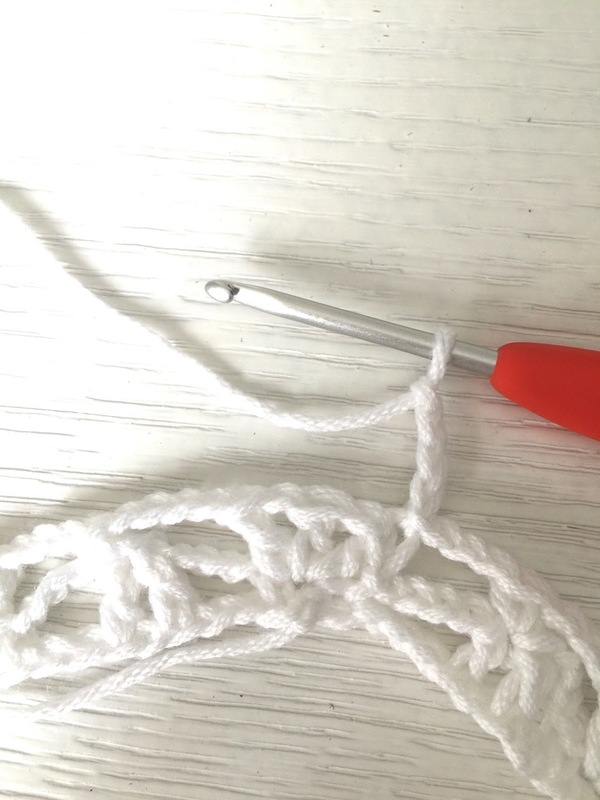 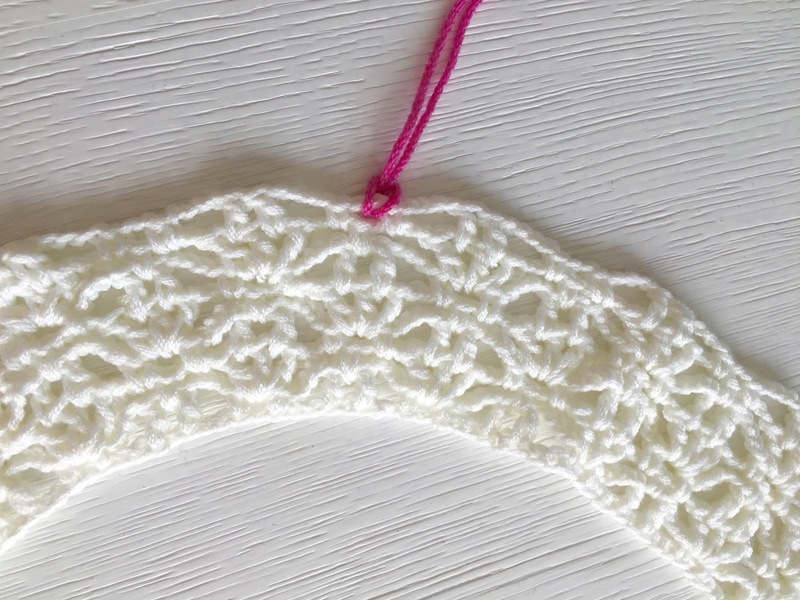 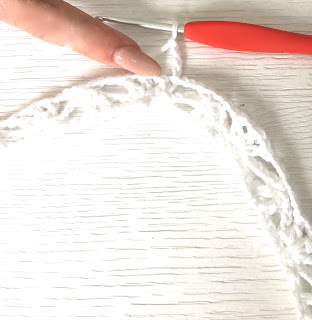 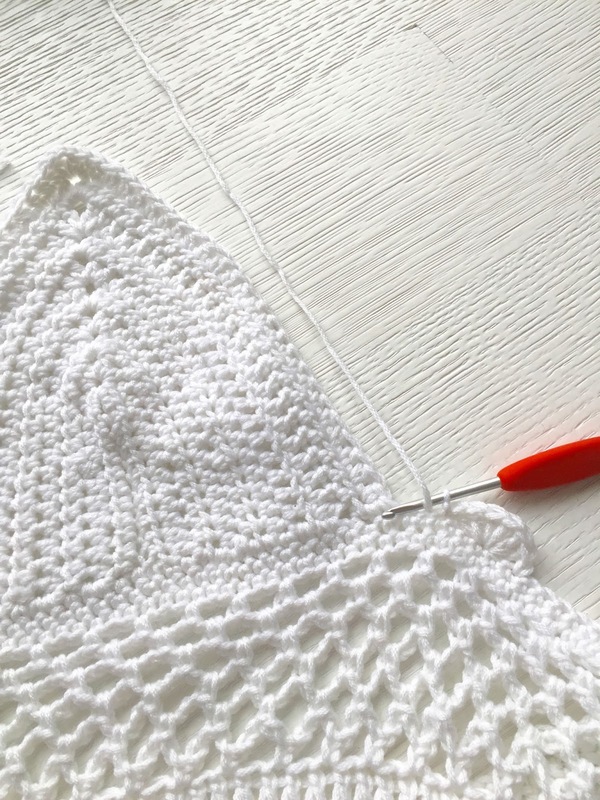 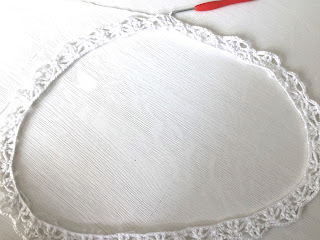 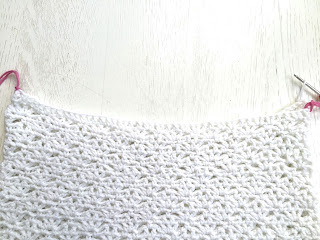 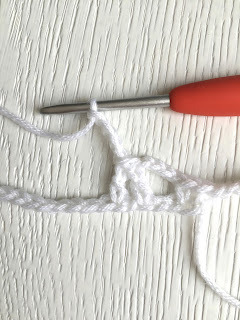 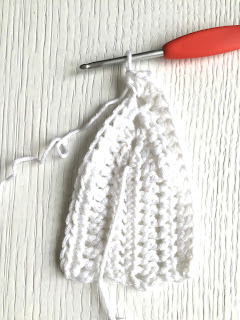 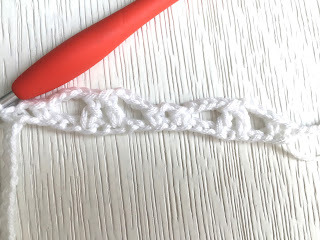 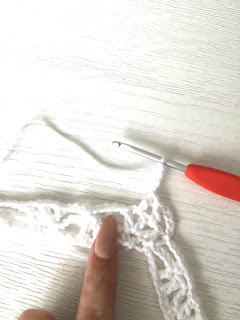 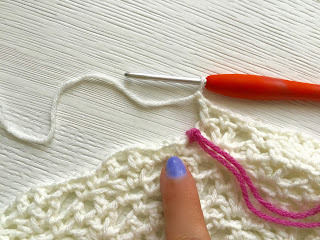 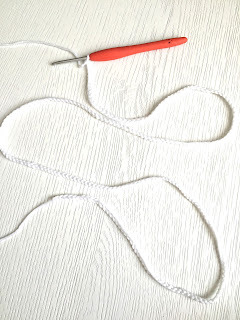 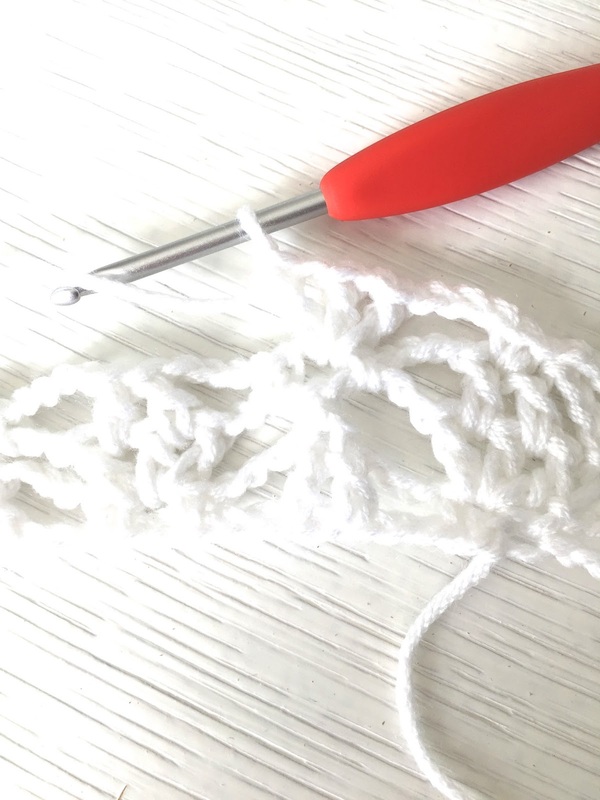 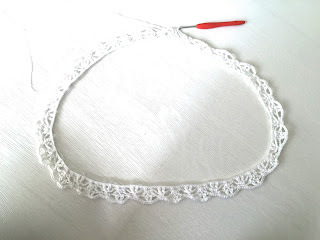 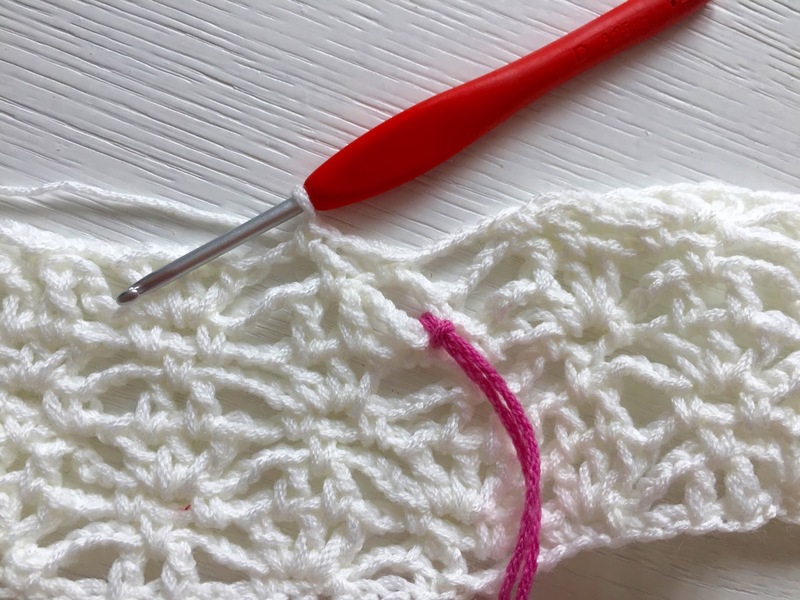 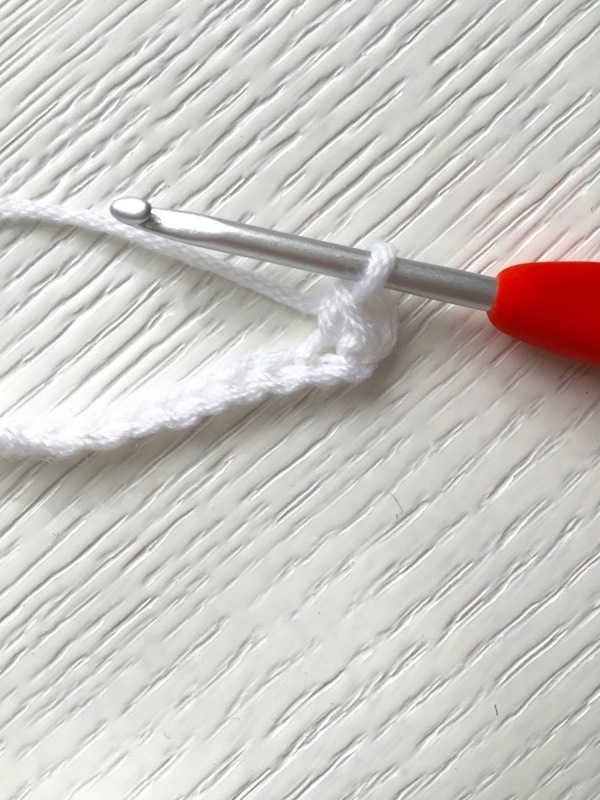 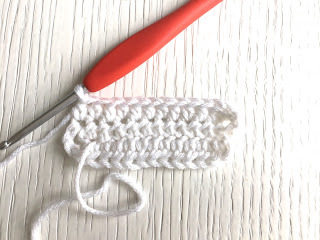 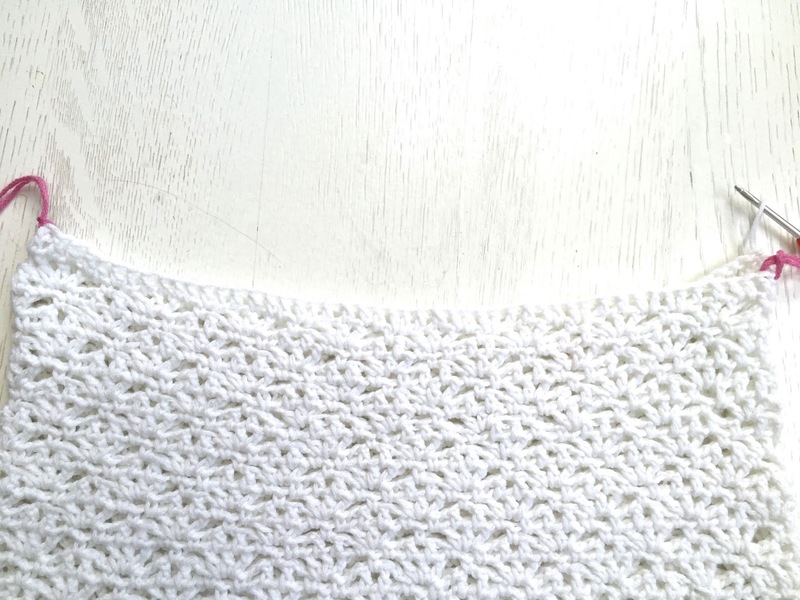 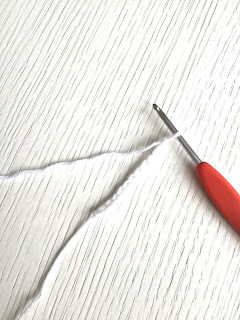 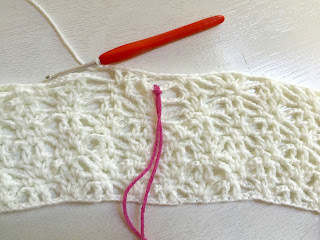 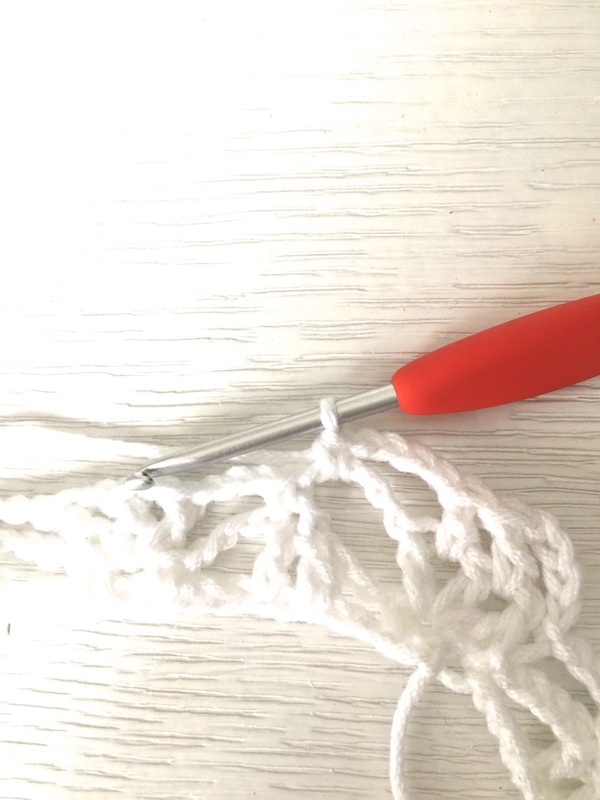 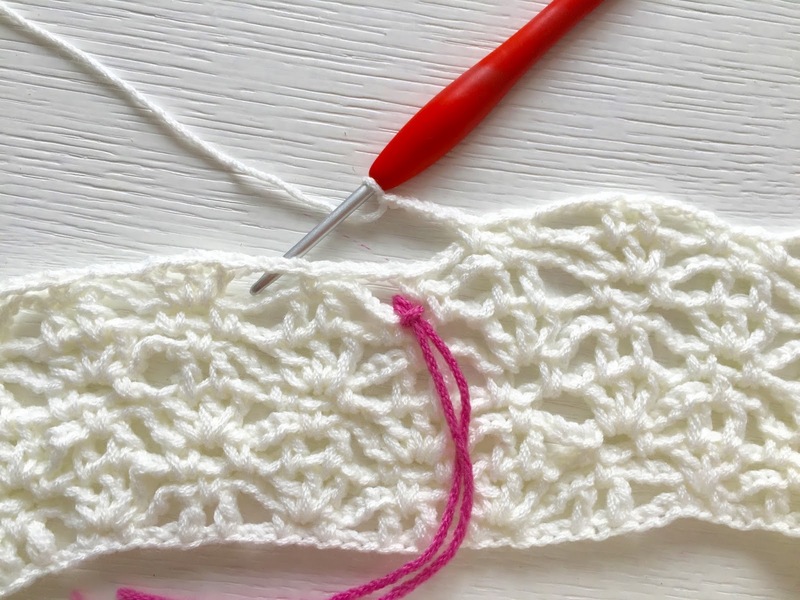 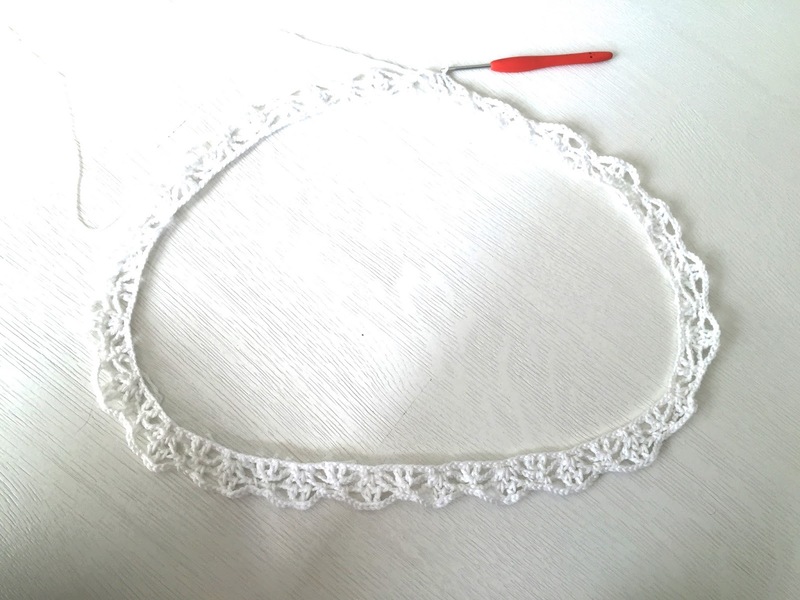 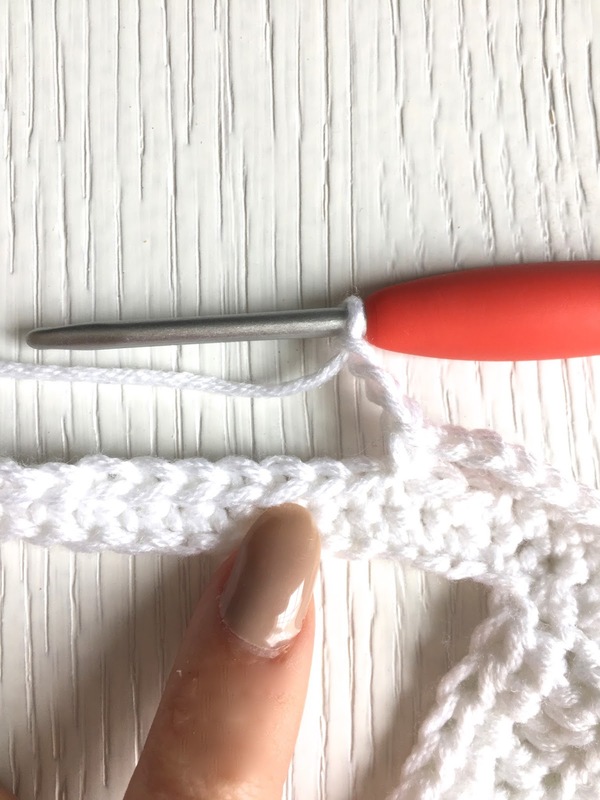 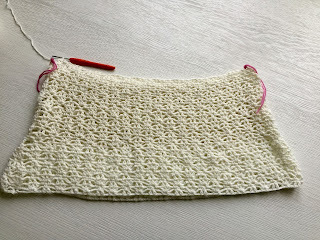 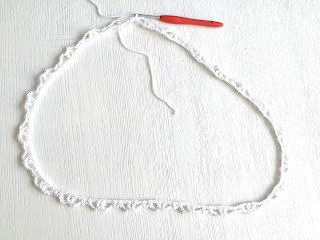 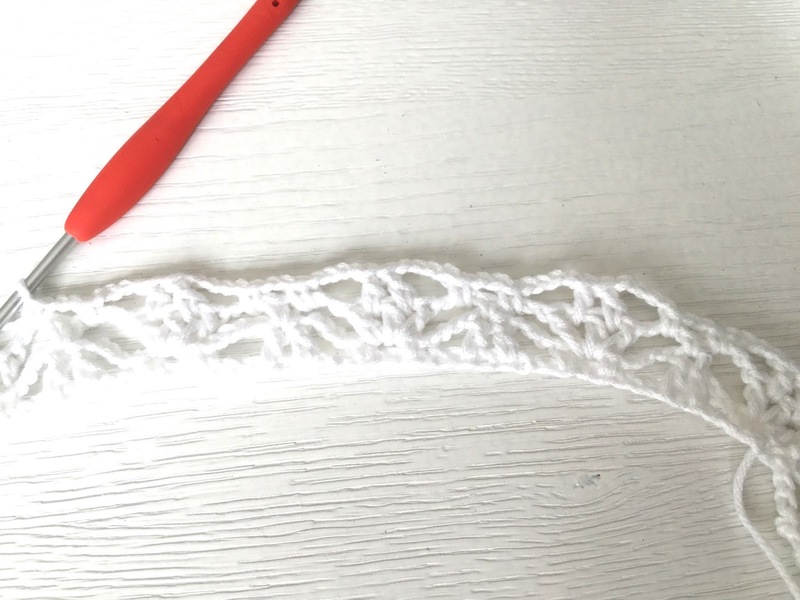 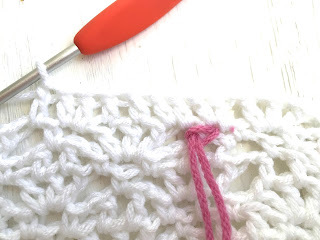 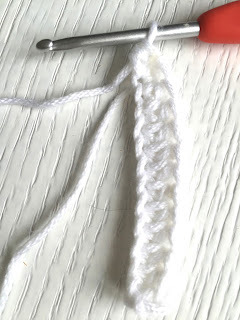 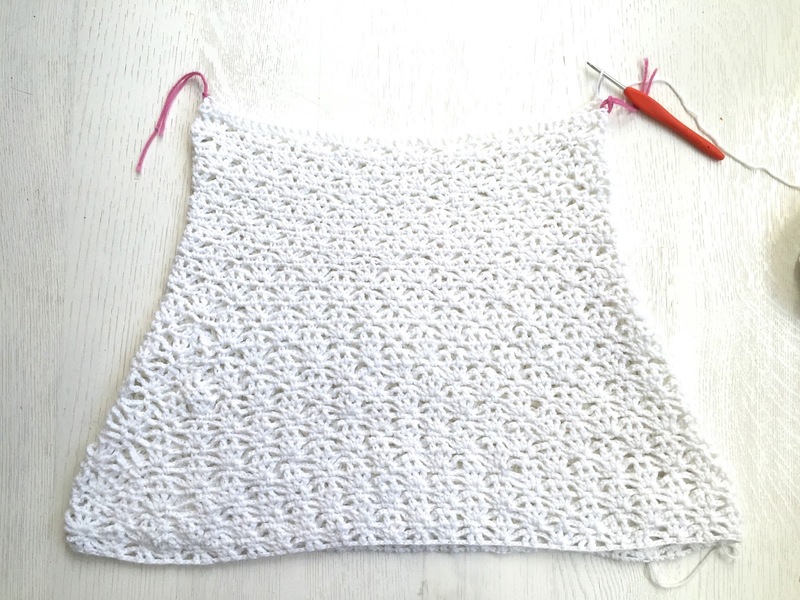 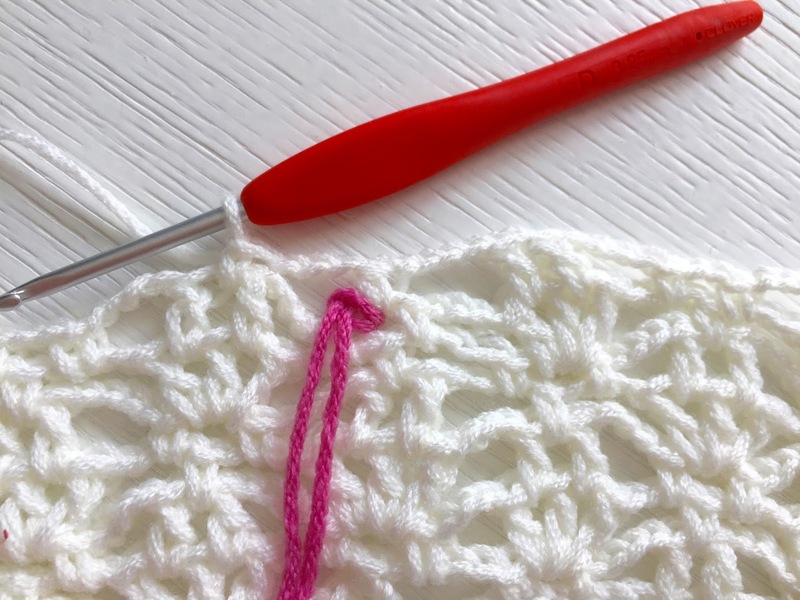 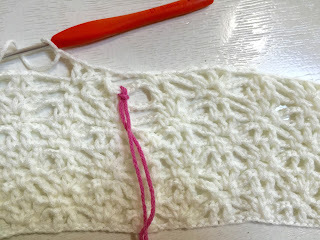 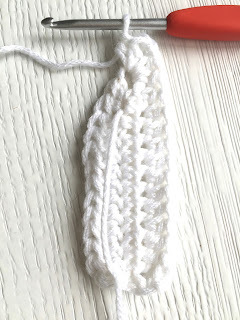 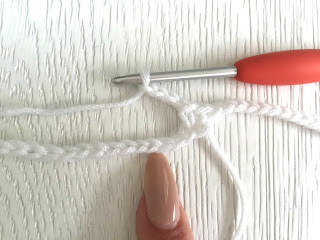 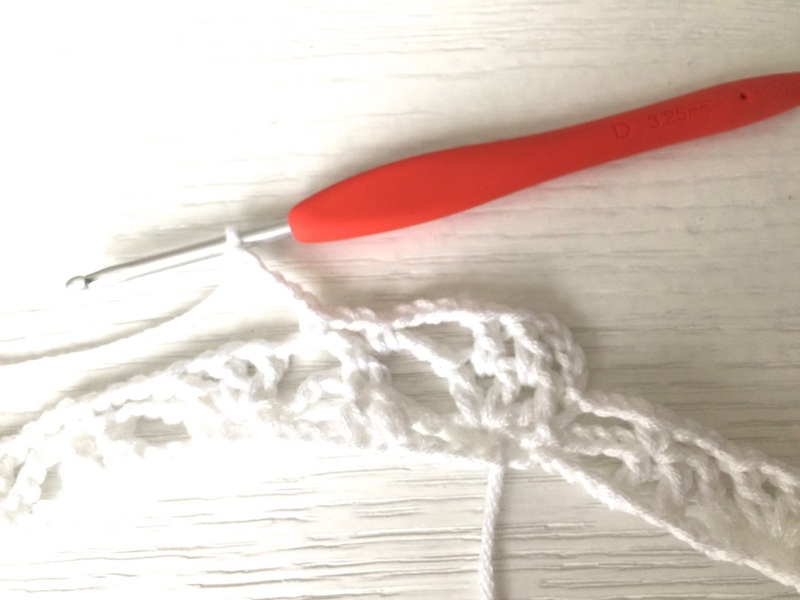 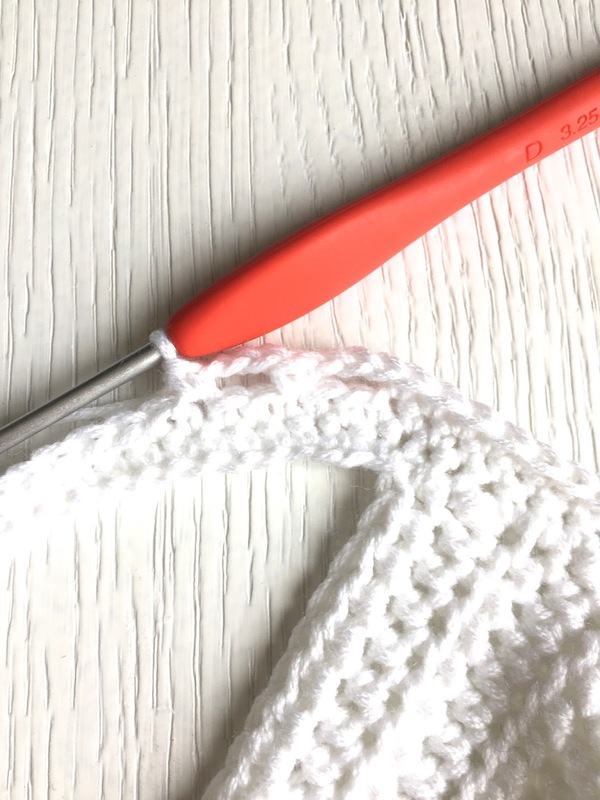 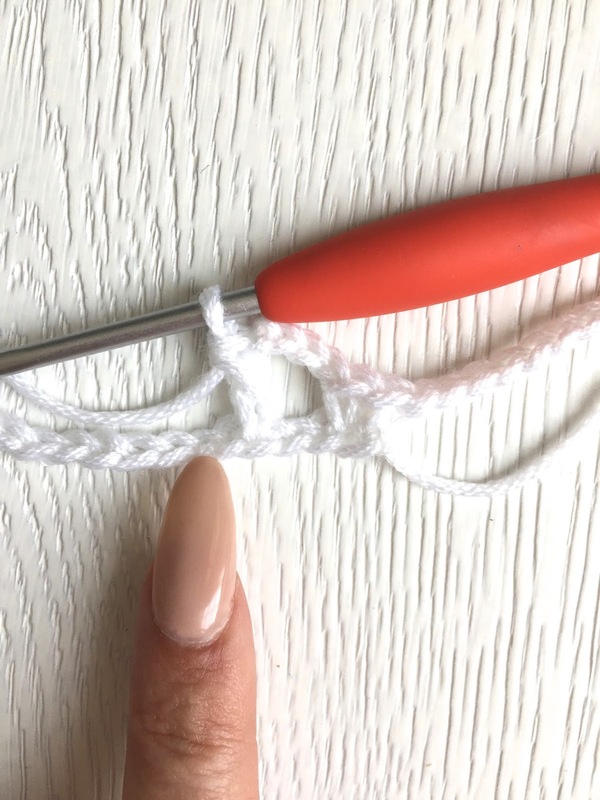 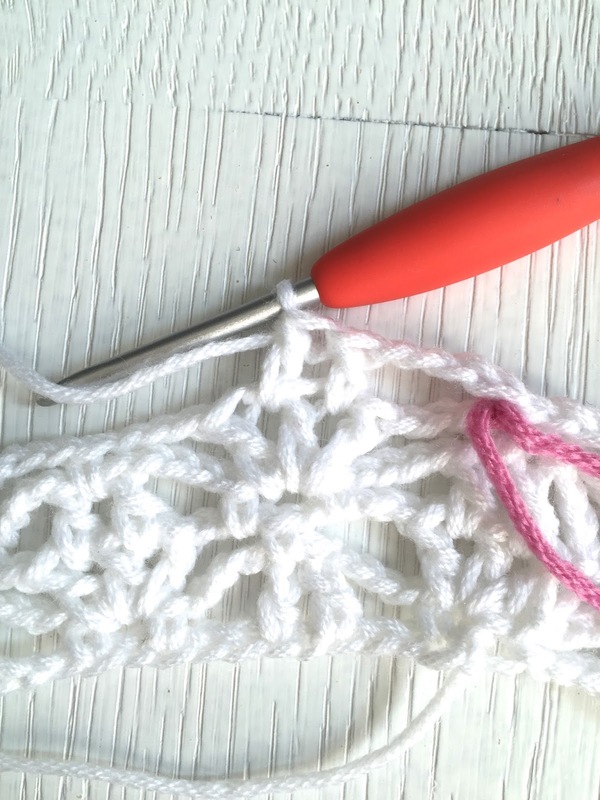 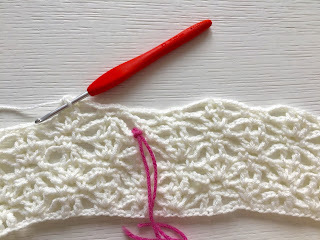 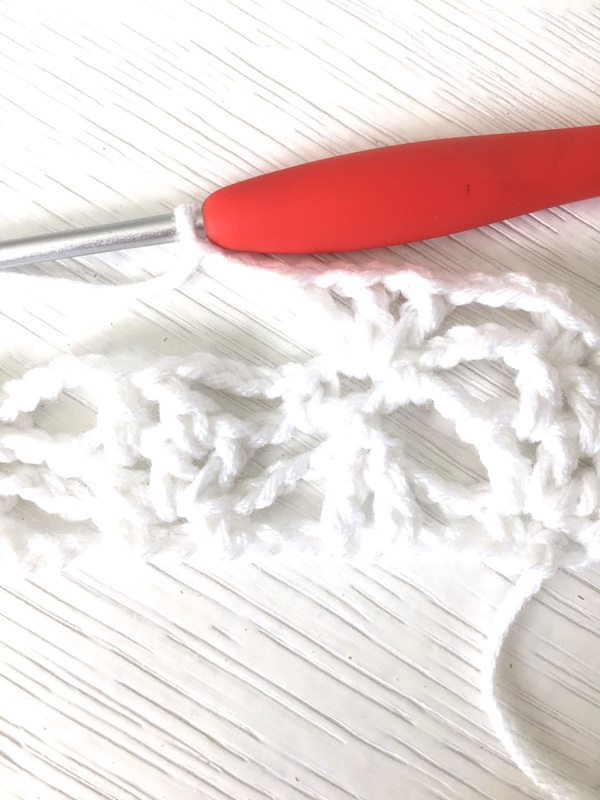 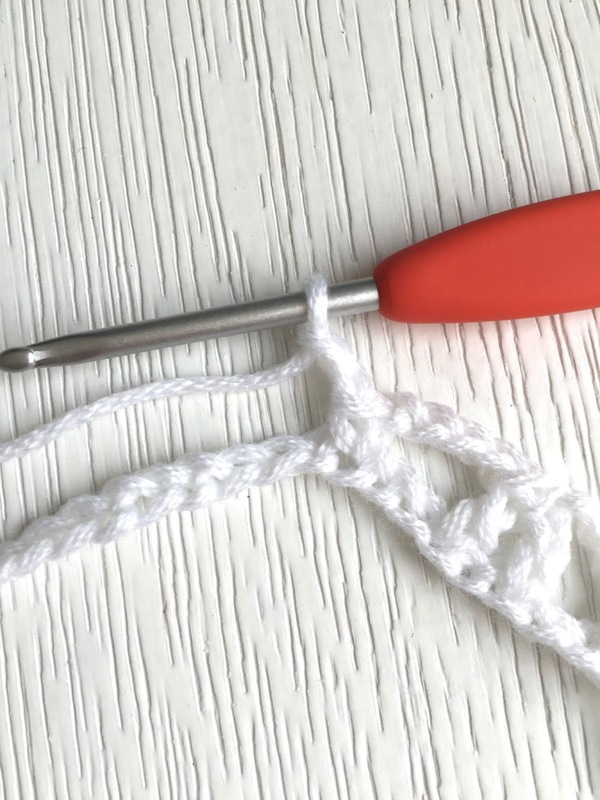 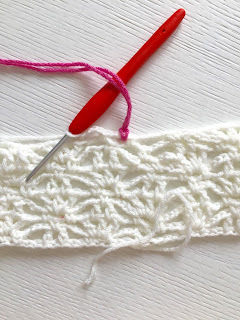 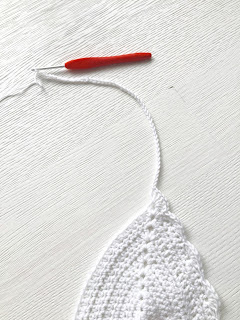 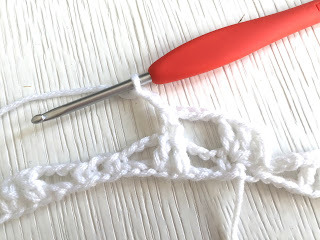 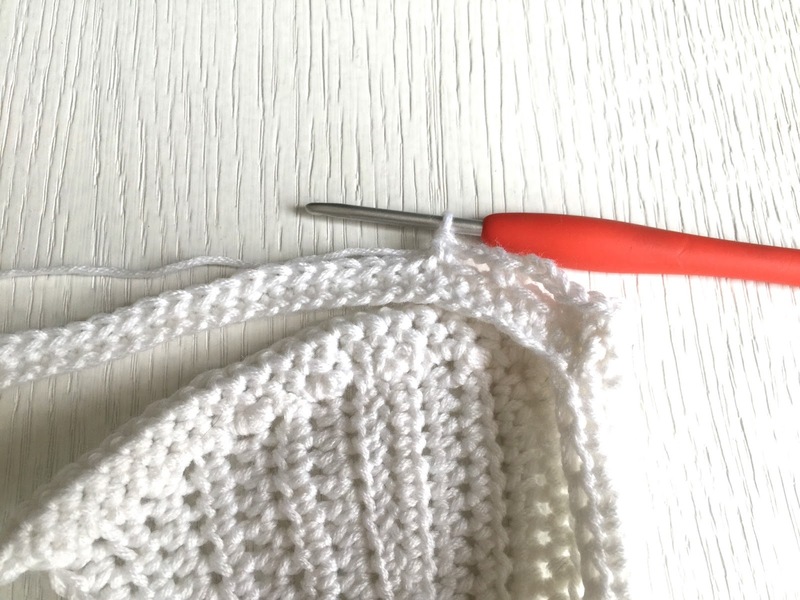 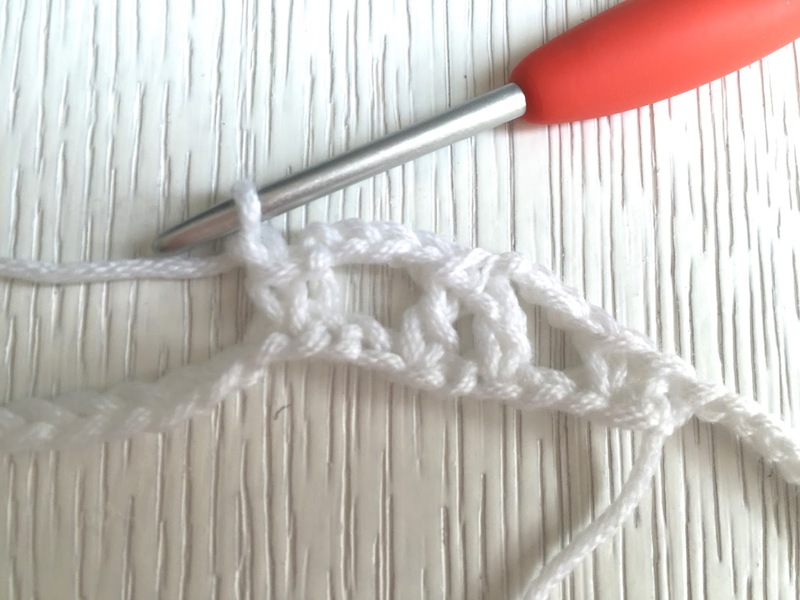 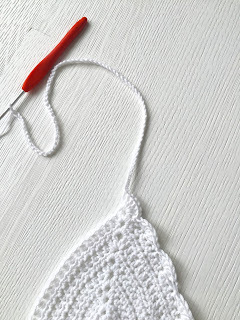 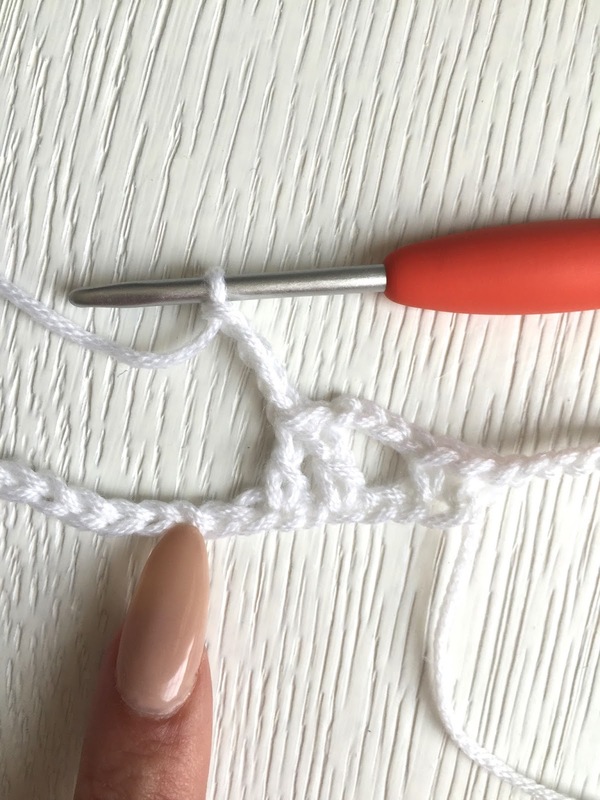 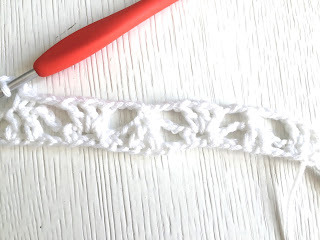 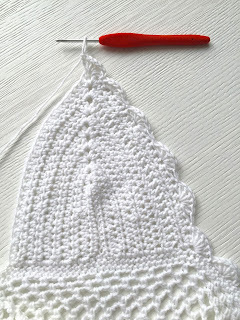 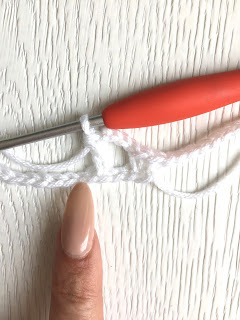 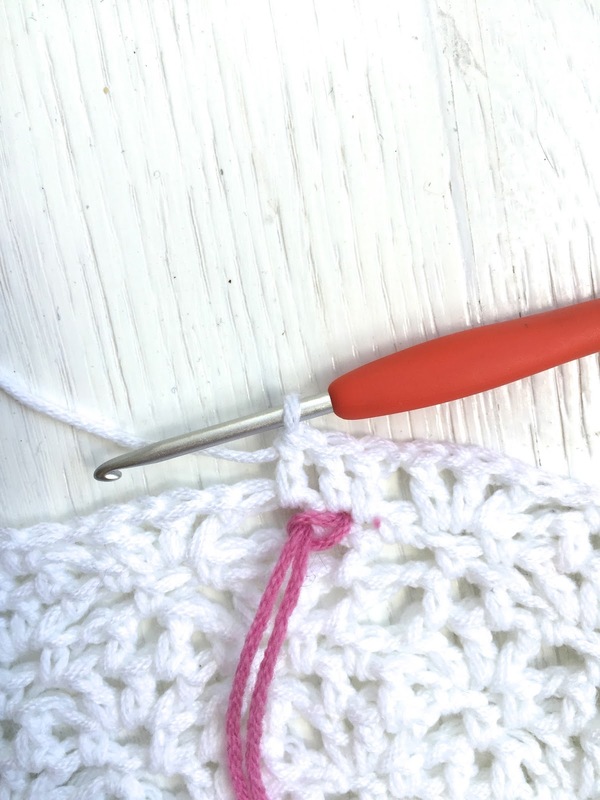 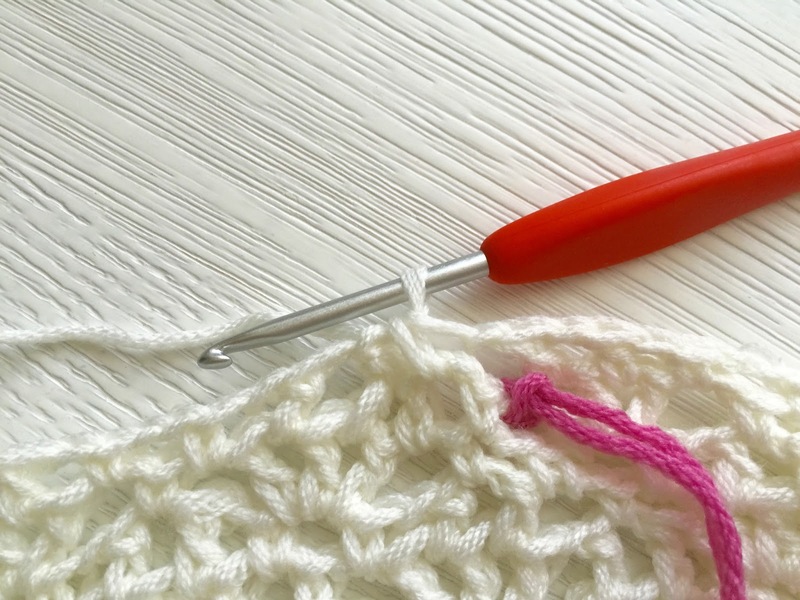 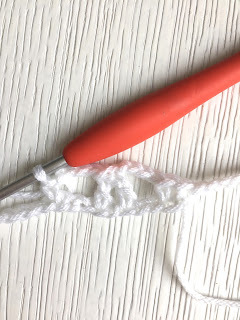 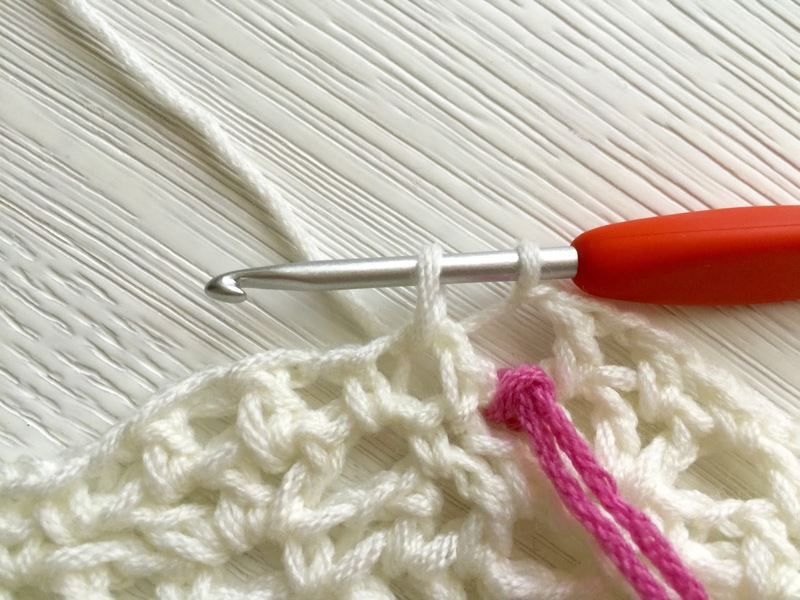 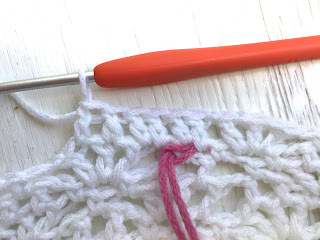 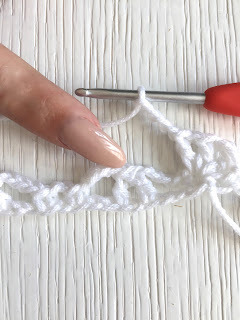 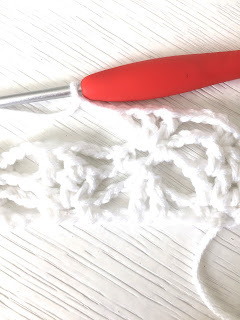 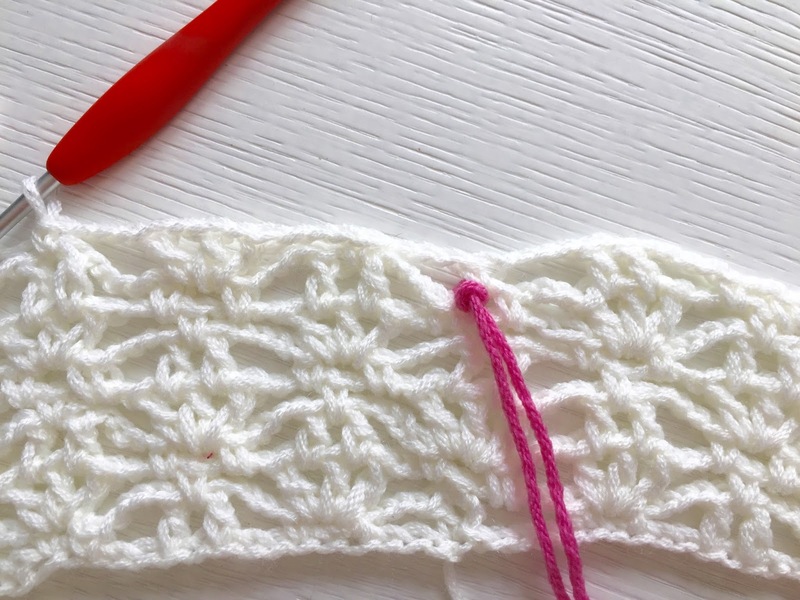 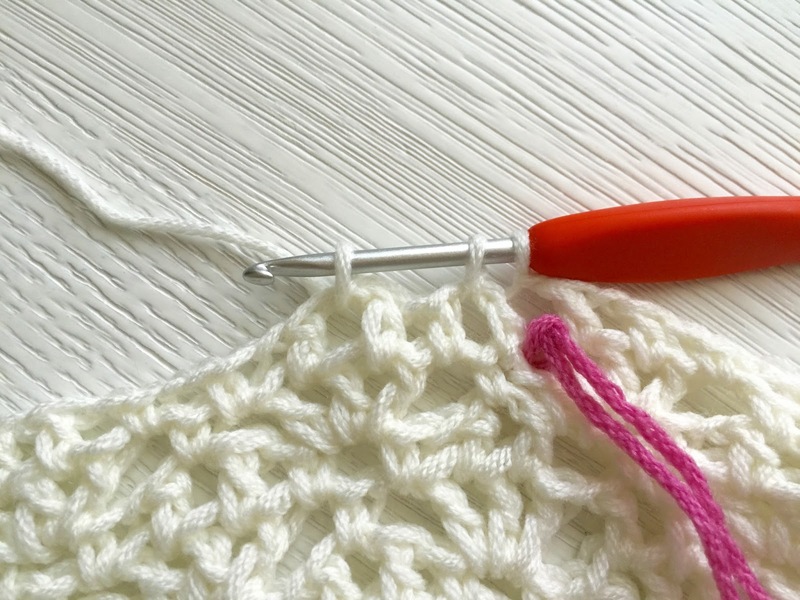 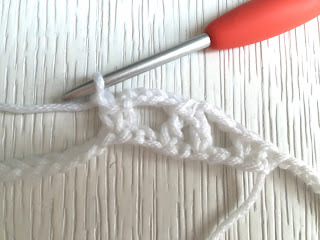 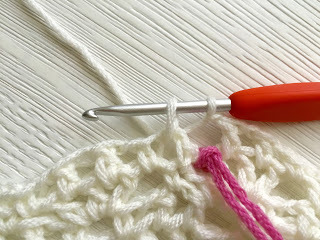 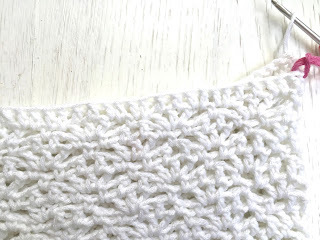 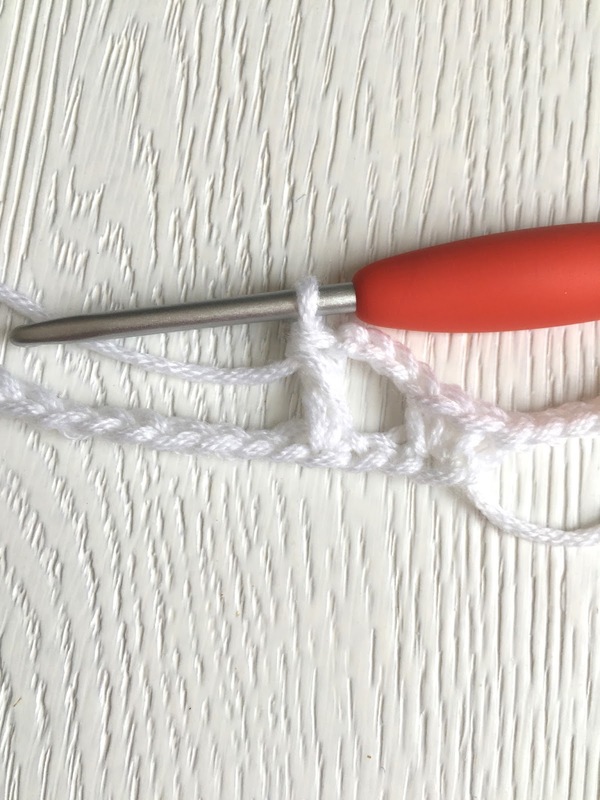 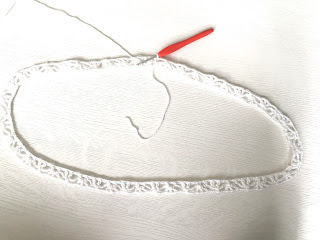 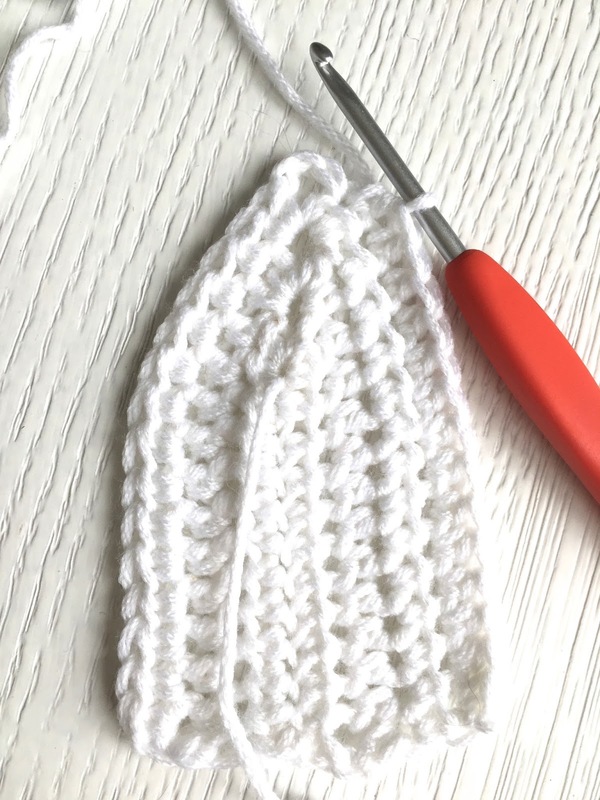 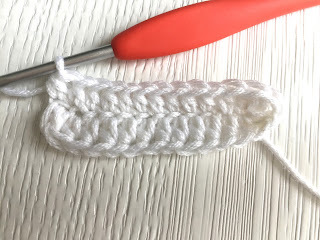 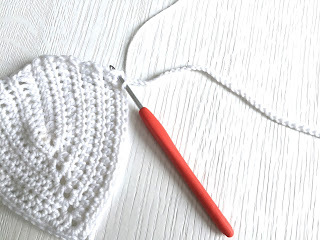 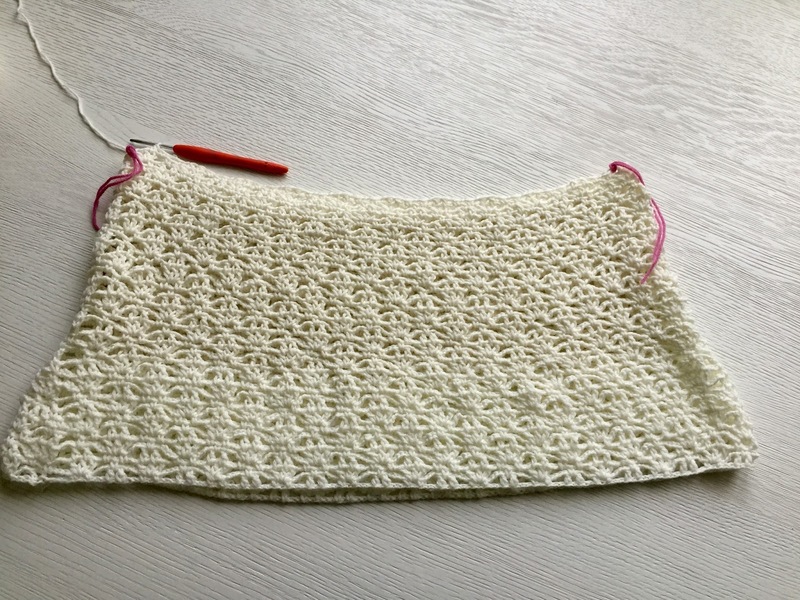 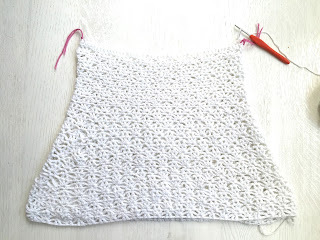 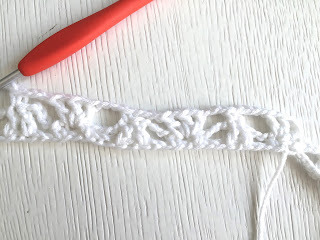 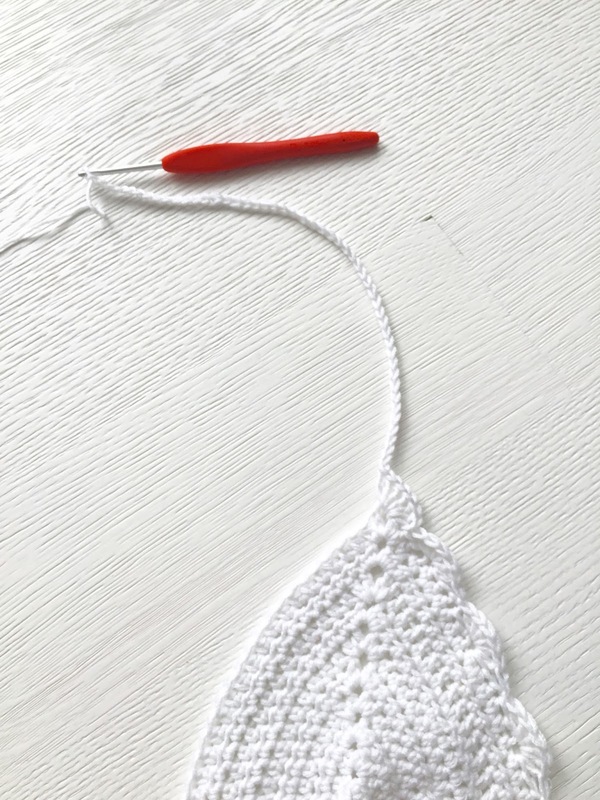 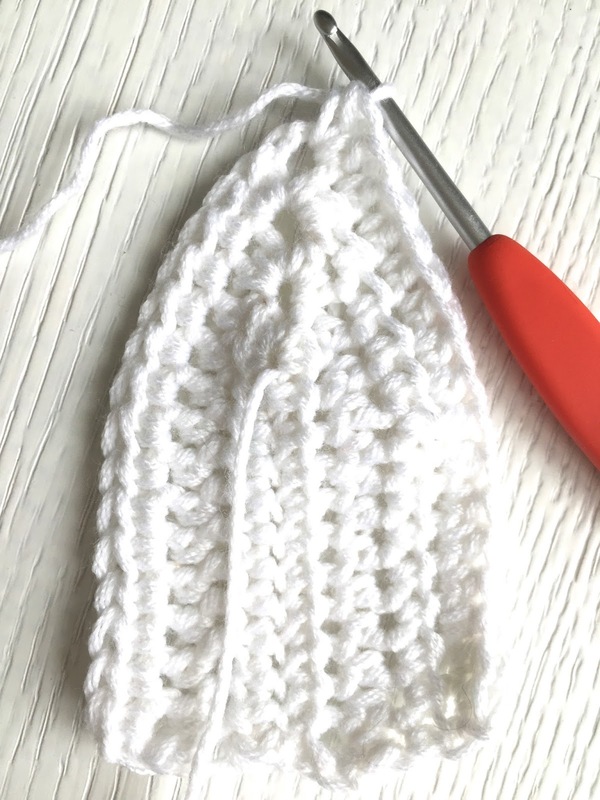 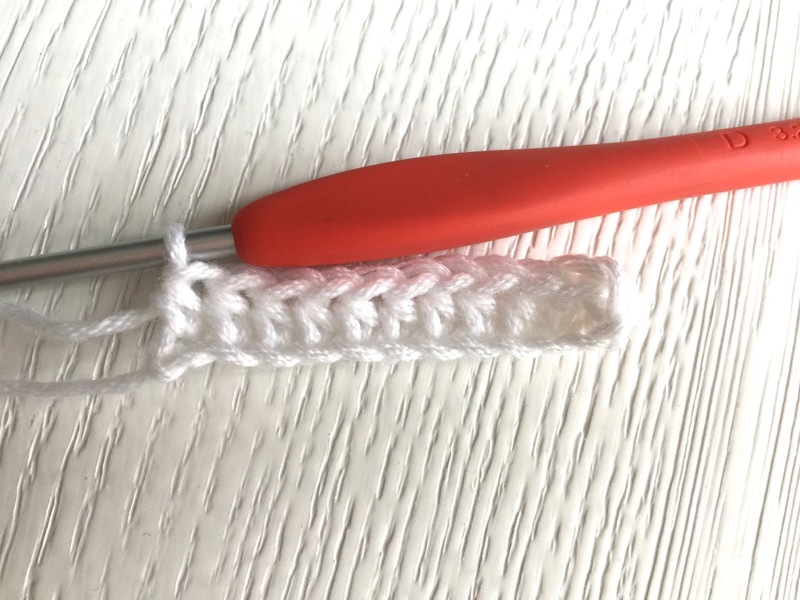 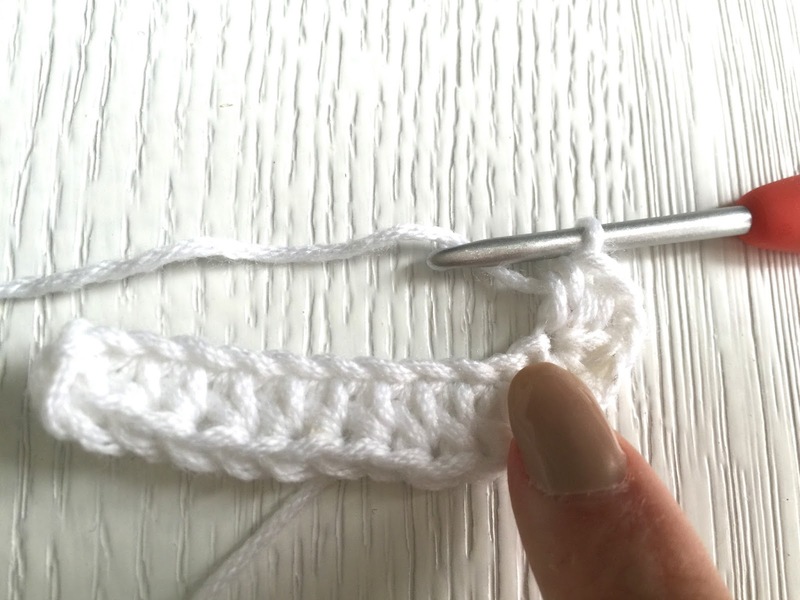 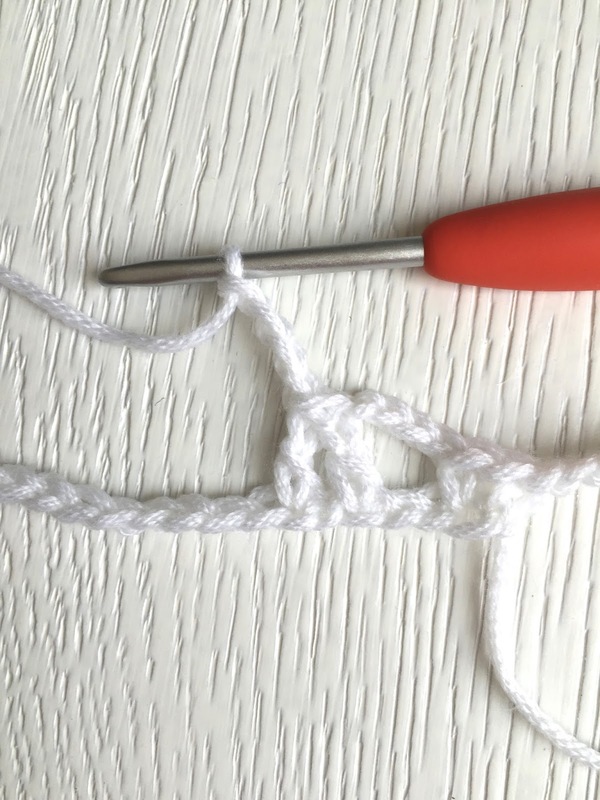 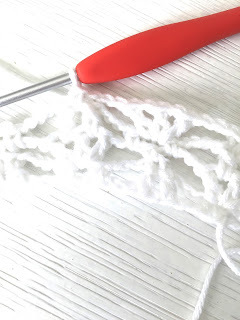 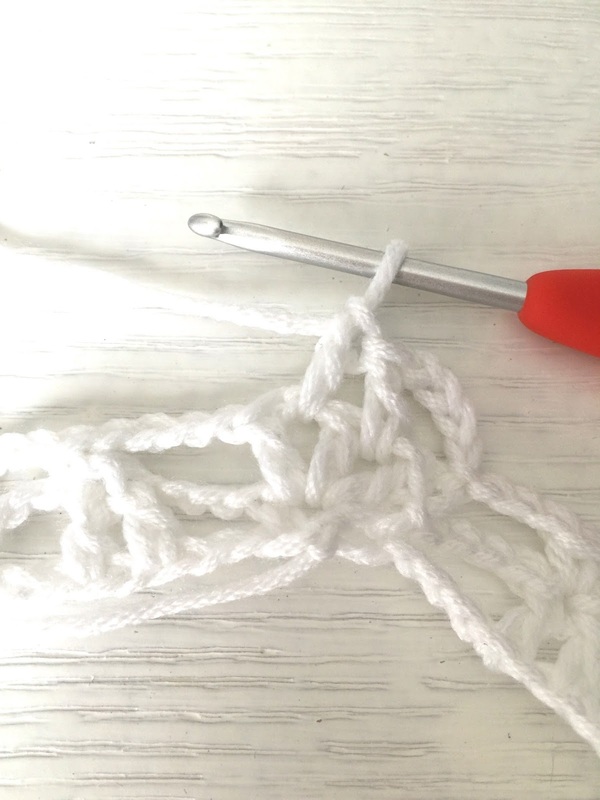 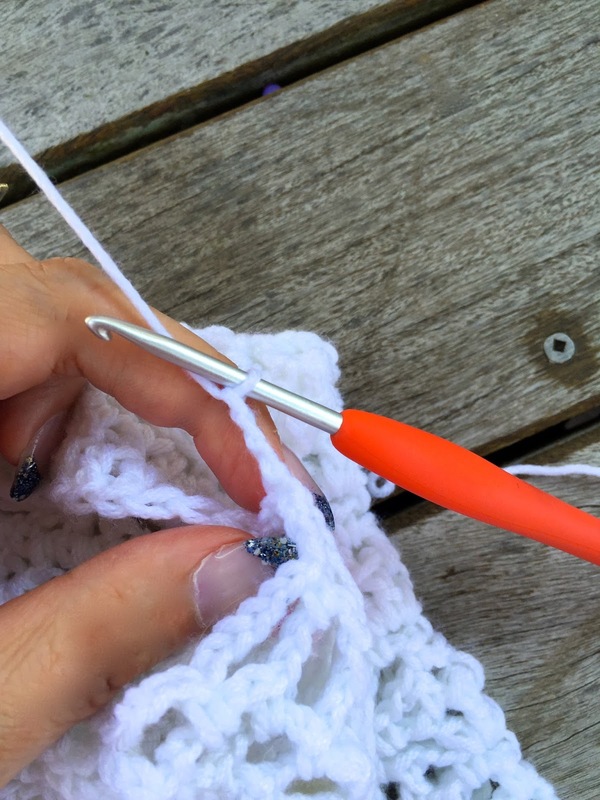 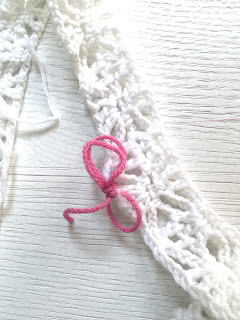 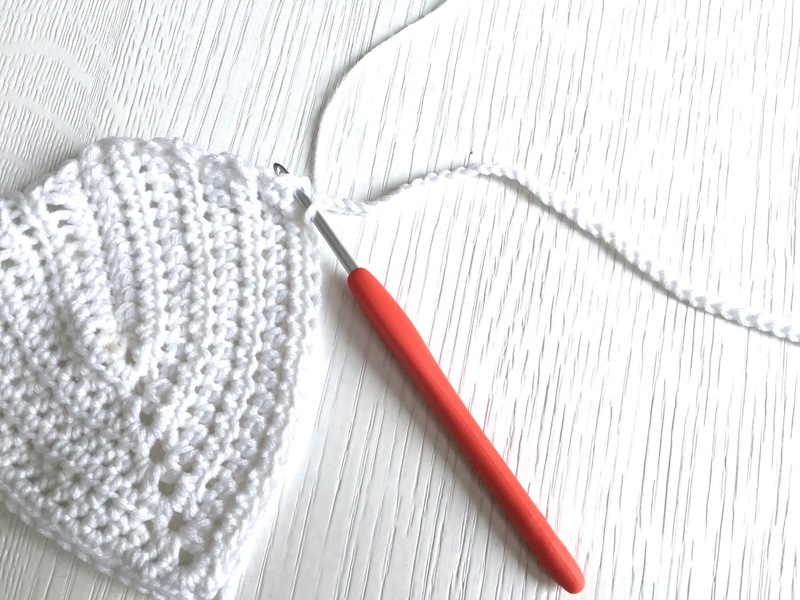 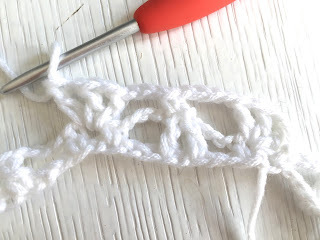 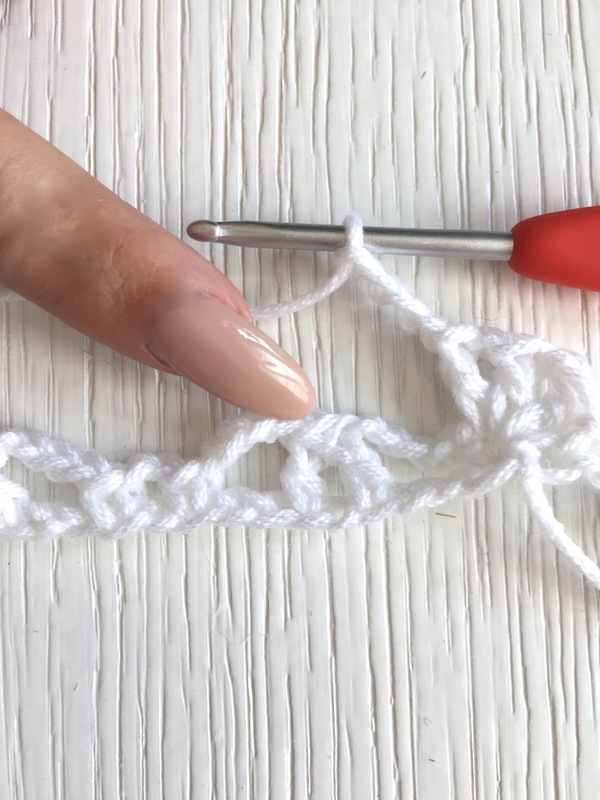 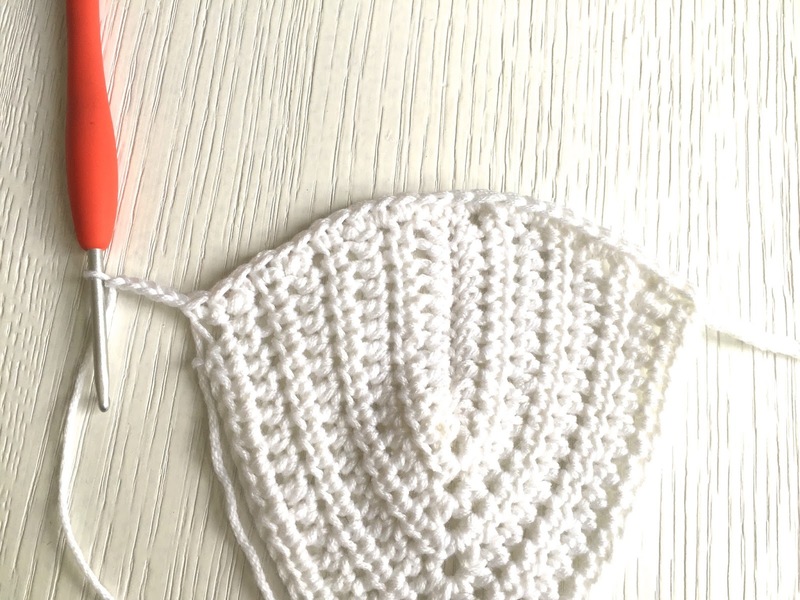 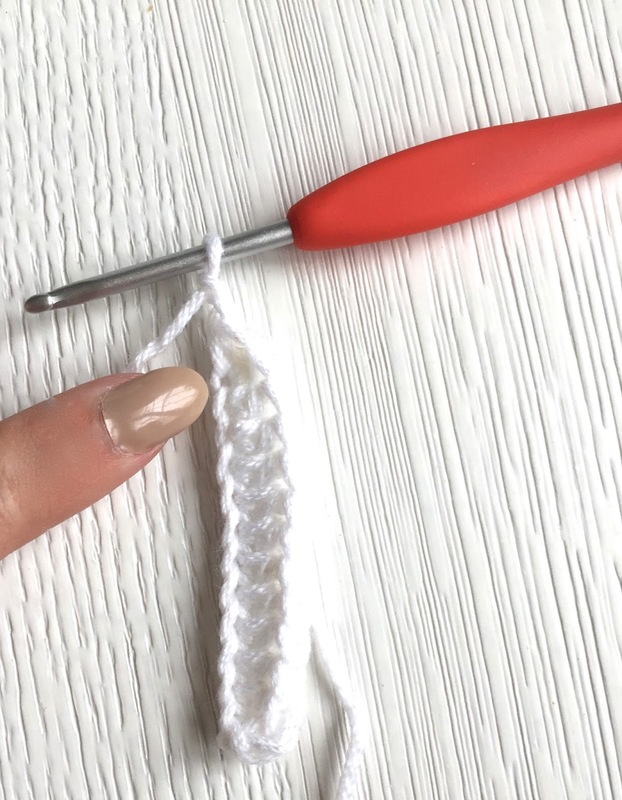 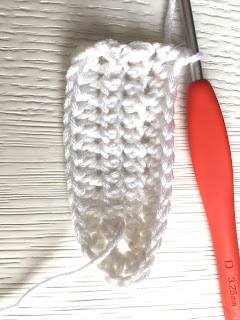 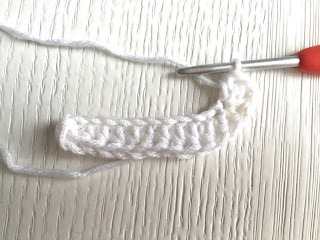 you will be crocheting in the round from now on It helps placing little scraps of colourfull yarn to figure out where your round begins and ends . 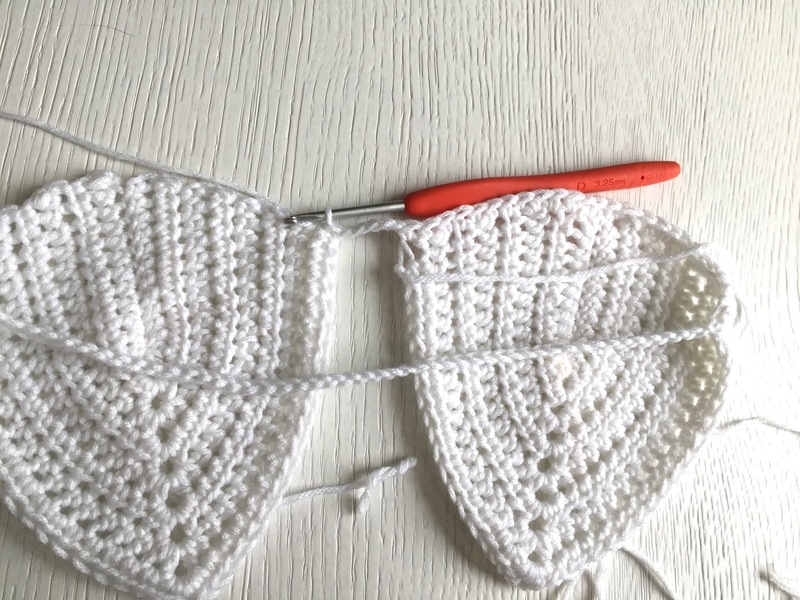 Round 12: ch4, sc in middle dc from previous round, ch4, Repeat pattern 11 times, ch4, sc in middle dc, ch4 continue in pattern. 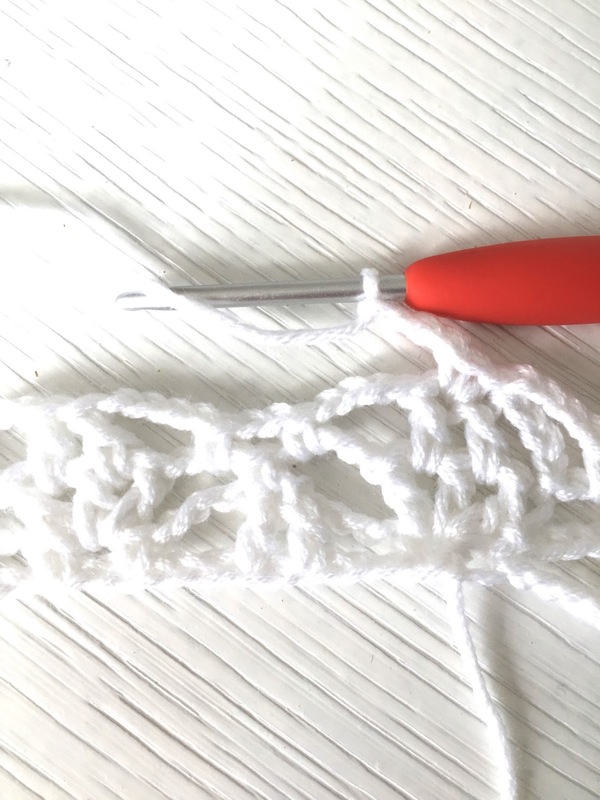 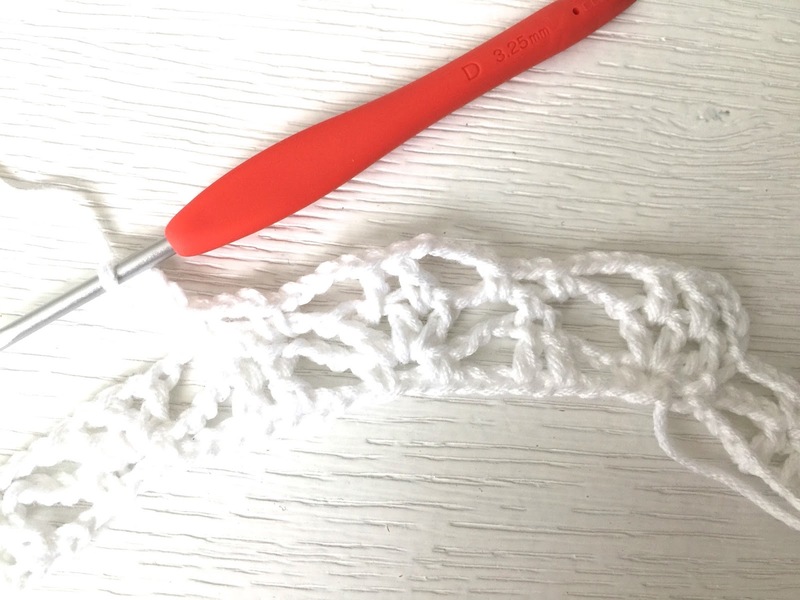 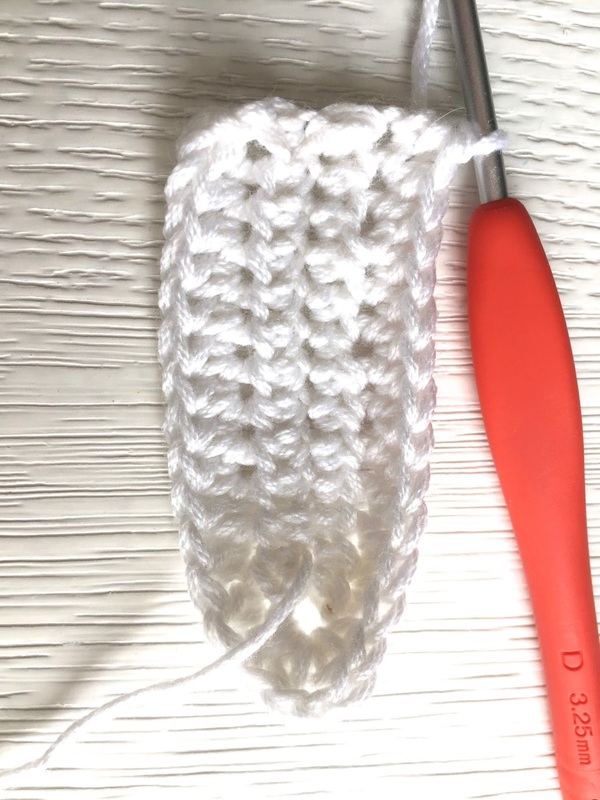 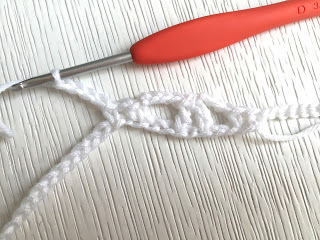 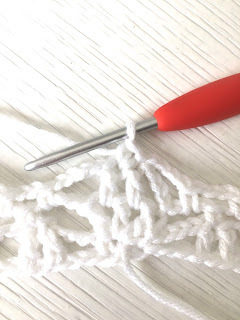 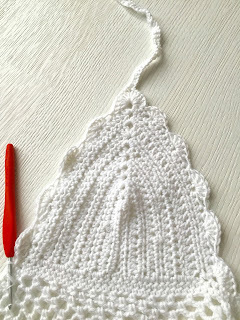 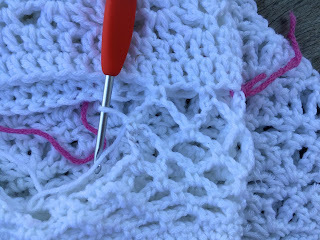 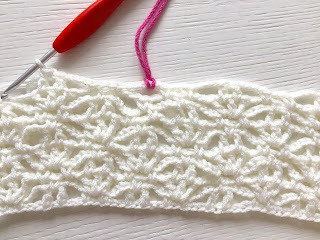 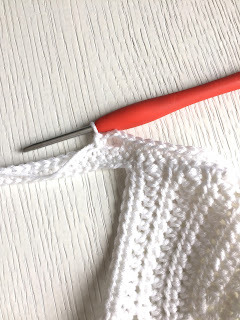 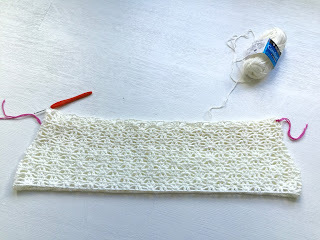 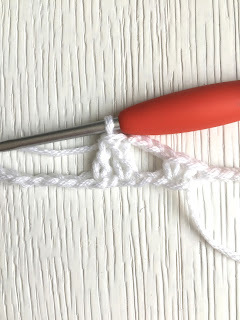 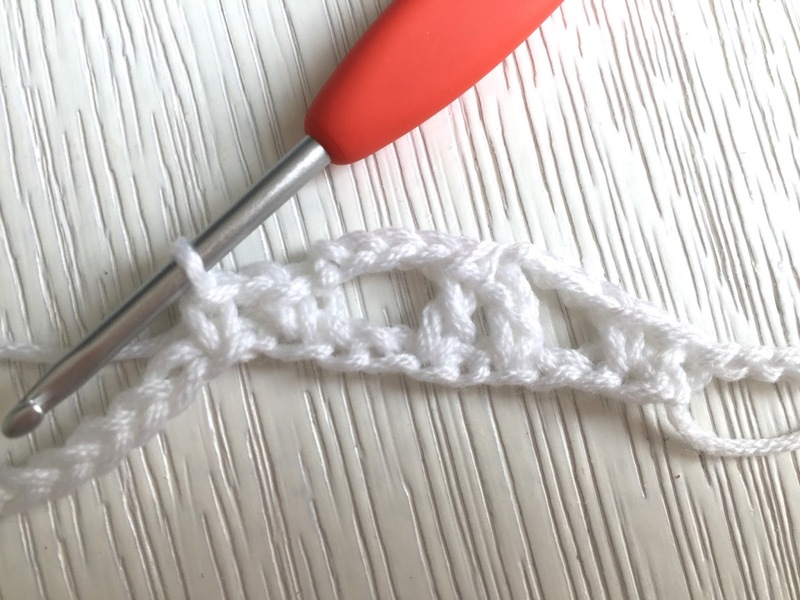 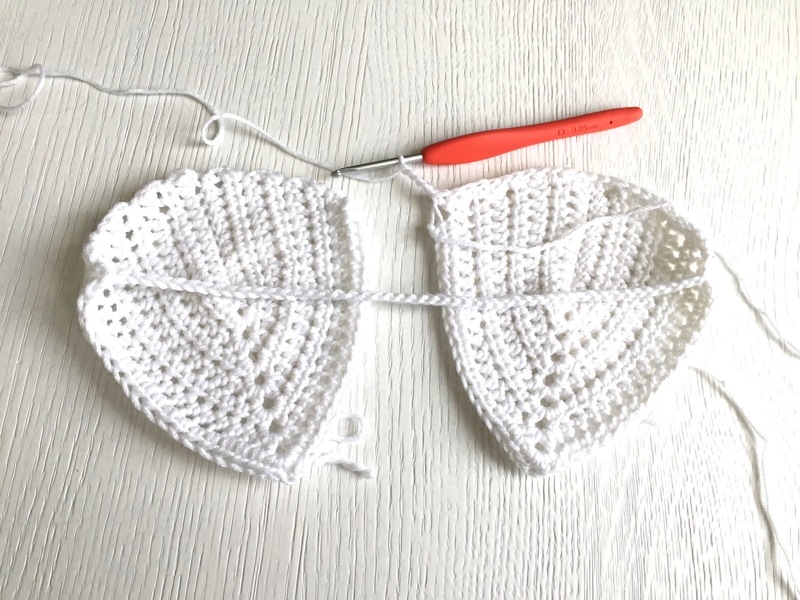 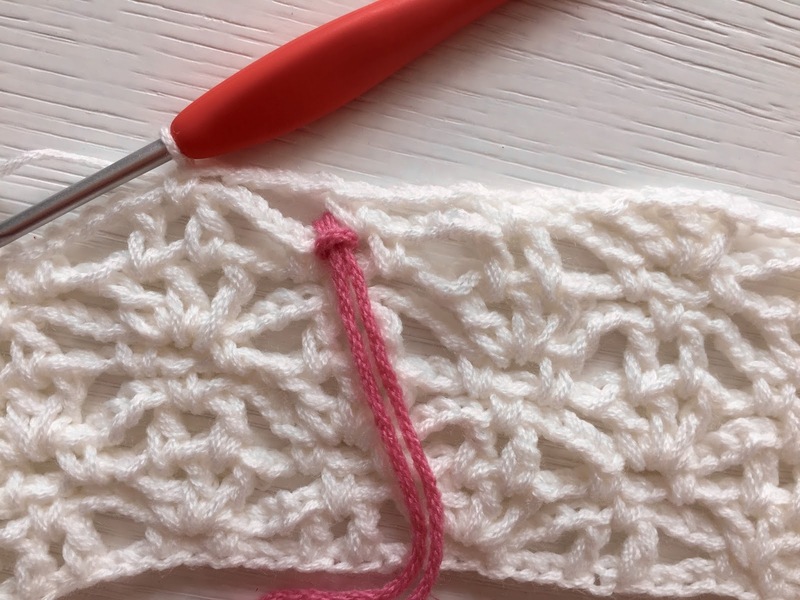 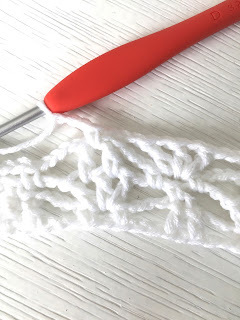 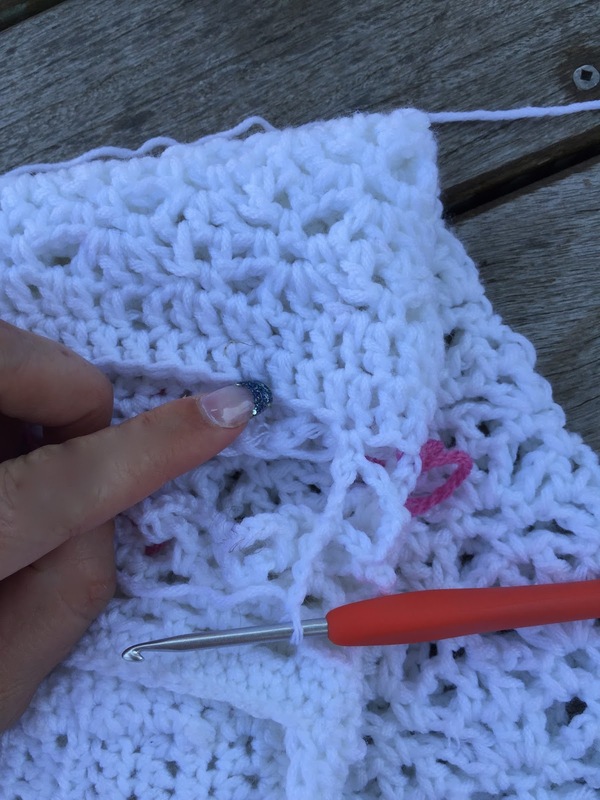 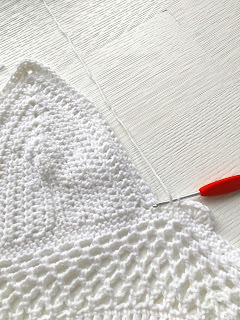 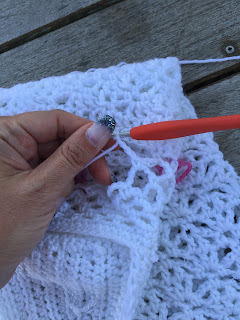 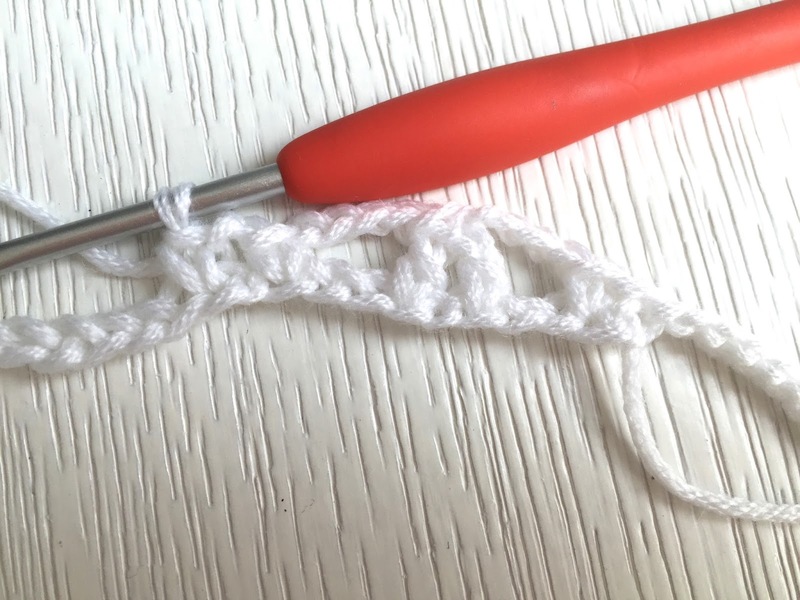 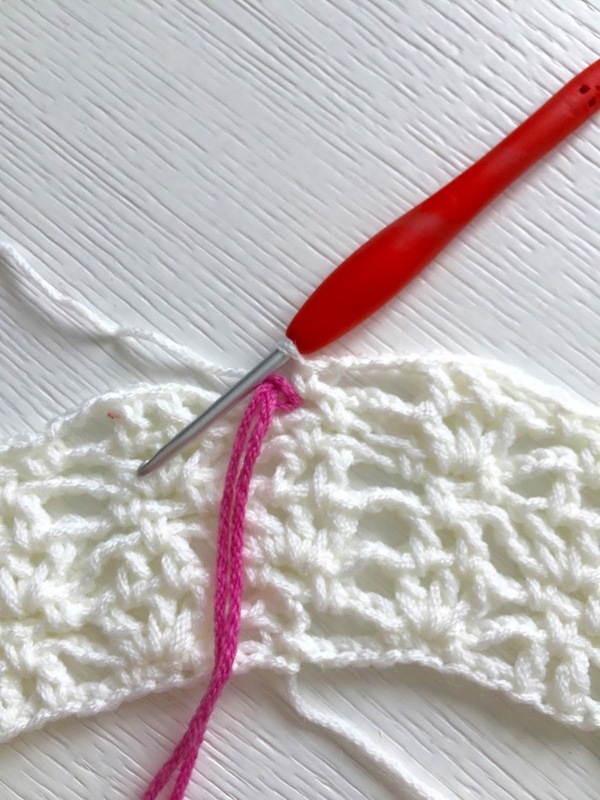 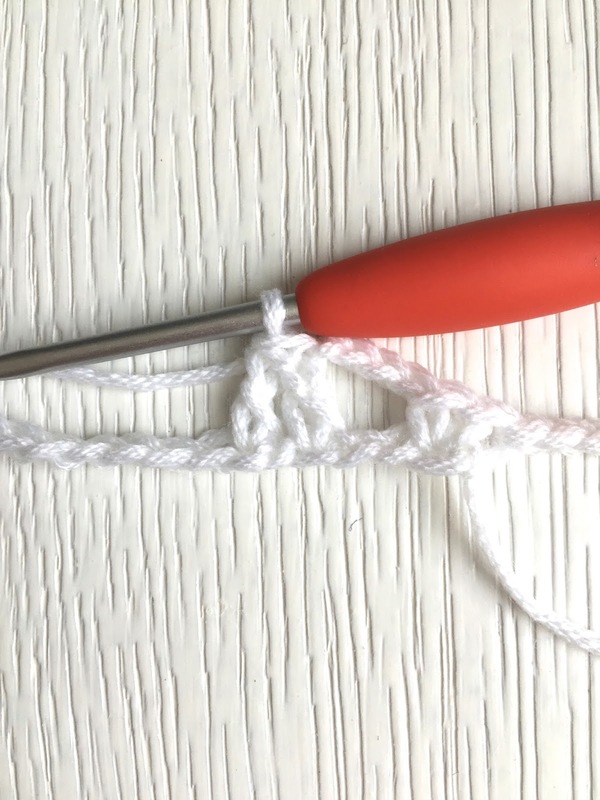 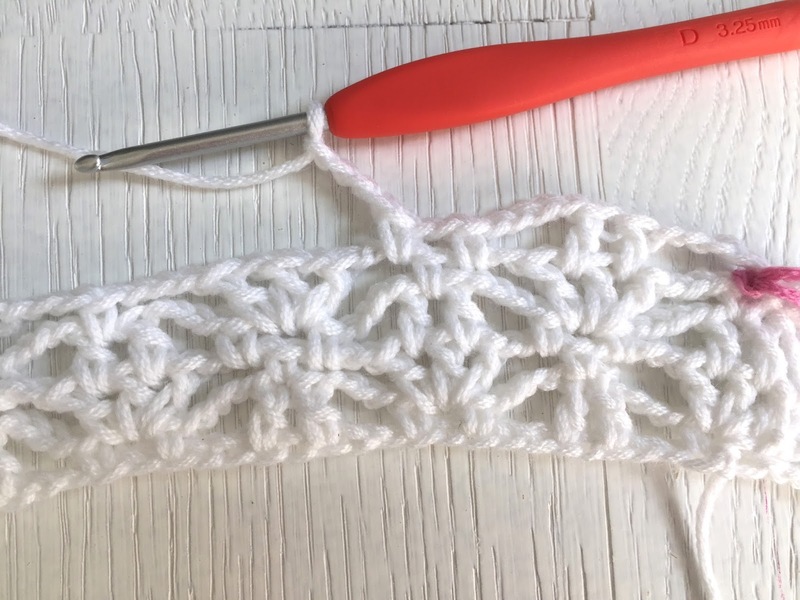 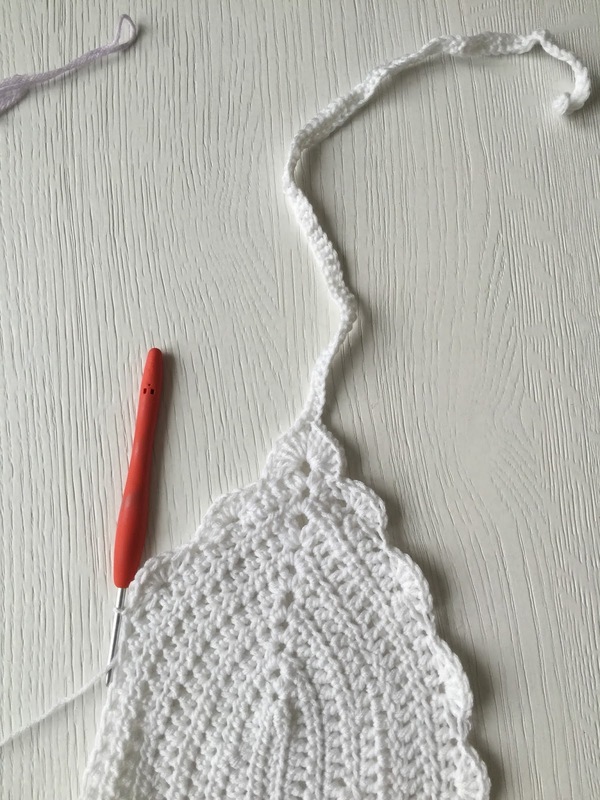 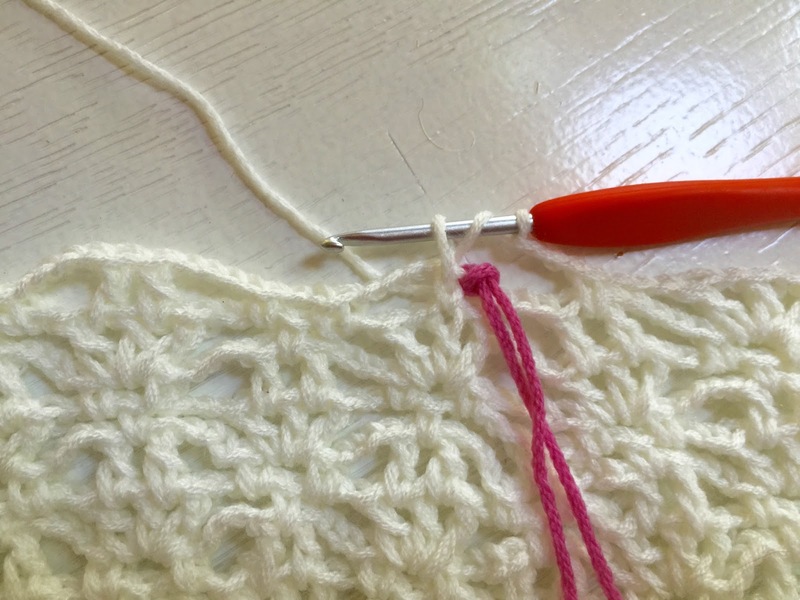 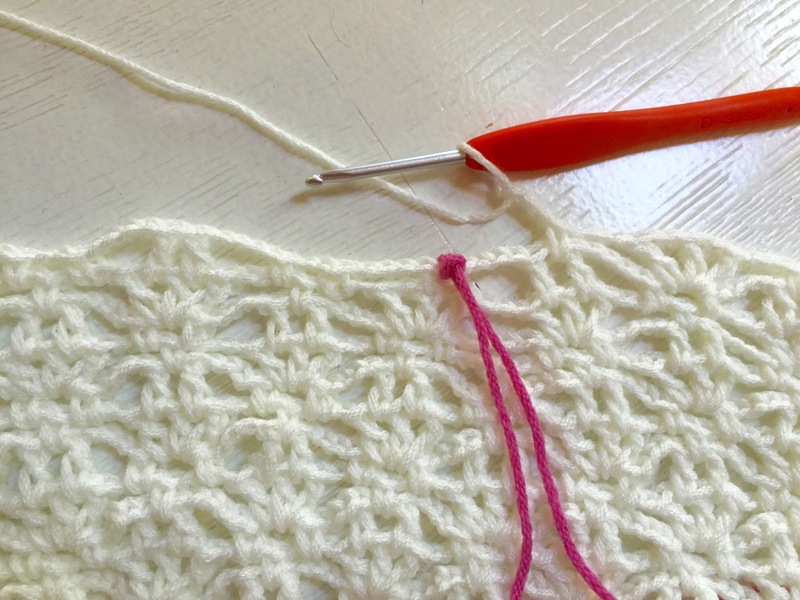 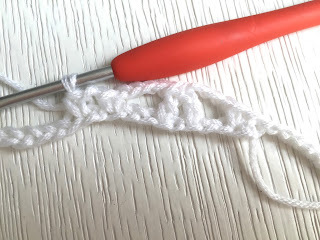 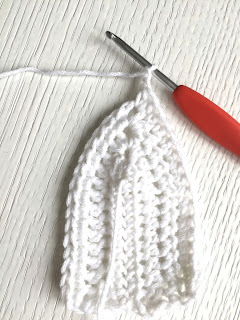 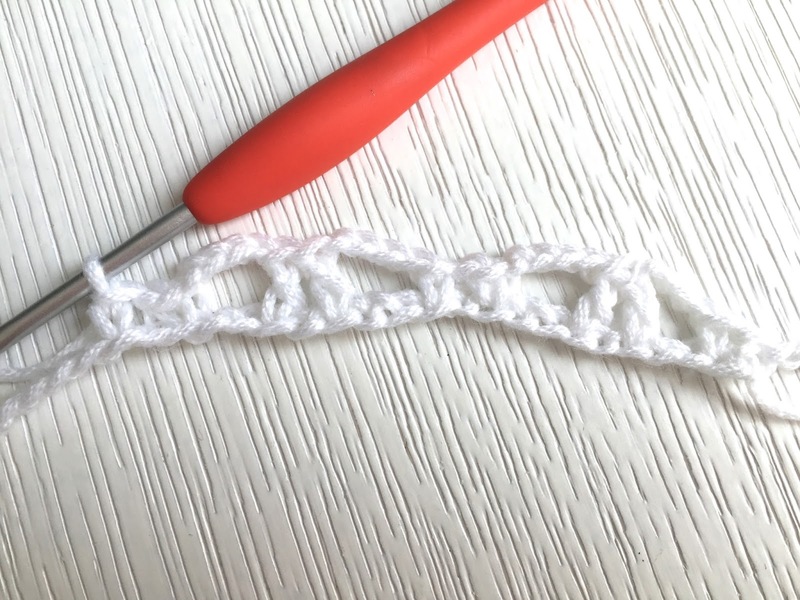 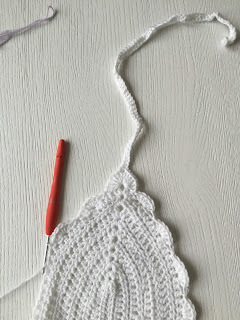 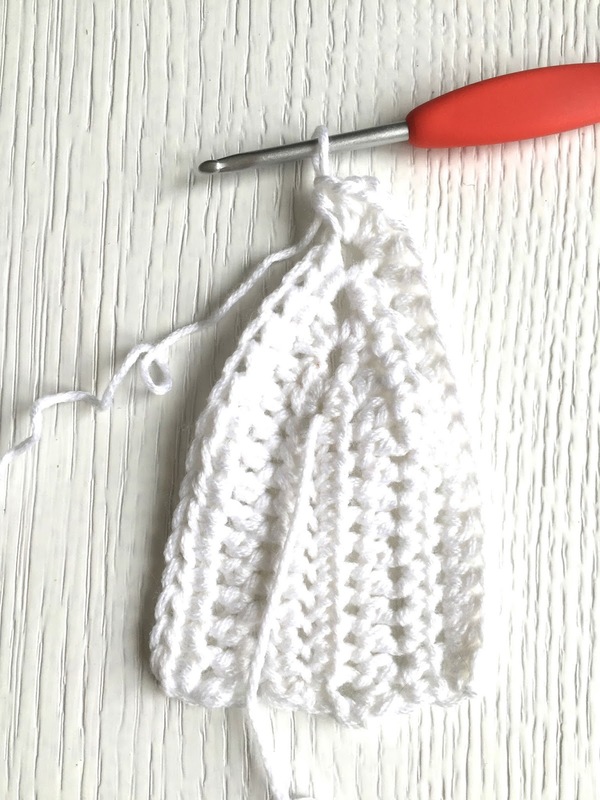 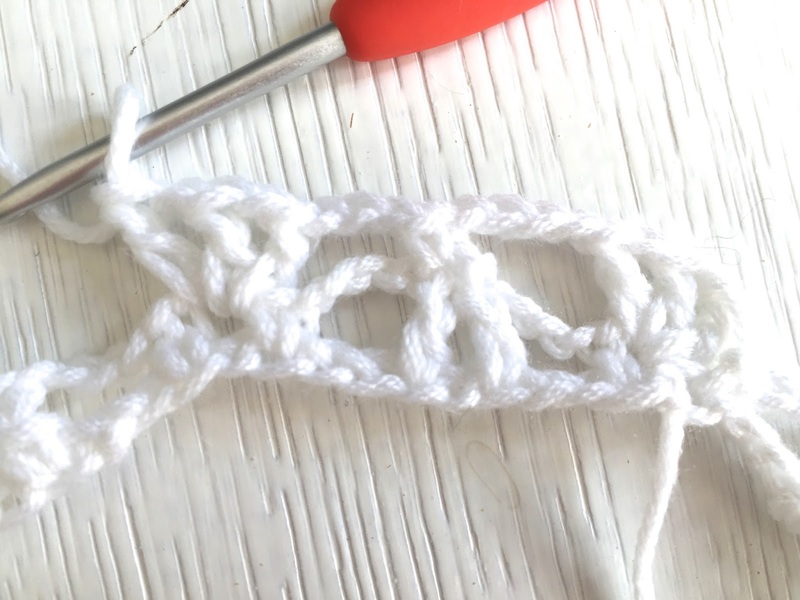 Round 13: ch3, [put crochet in sc, and dc tog in ch2 sp from previous round, ch dc, ch,dc], ch3 and continue in pattern until you reach the next marker. 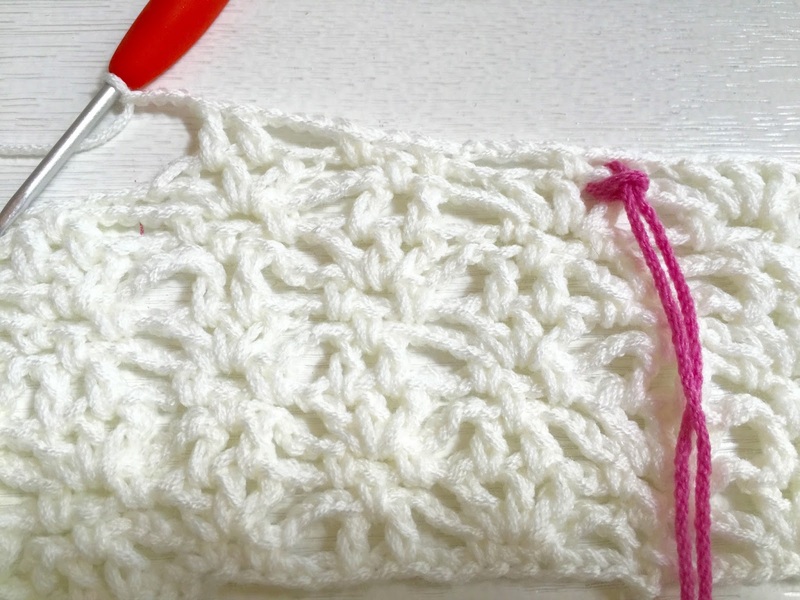 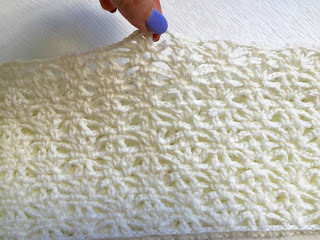 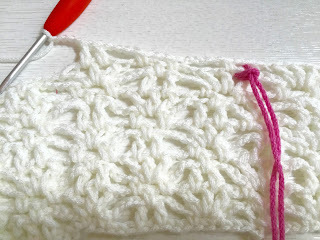 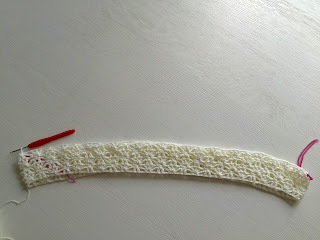 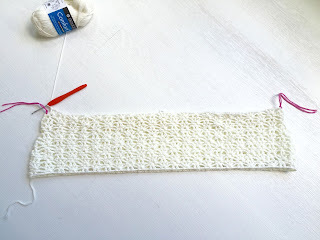 ch3, put crochet in sc, and dc tog in ch2 sp from previous round, ch dc, ch,dc], ch3 and continue in pattern. 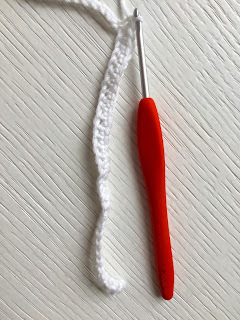 Round 16: continue in pattern BUT instead of [ch4, sc, ch2, sc, ch4 etc..... ] from now on you will do [ ch3, sc, ch2, sc, ch3, dc in between dc from previous round twice, ch3] basically same as Round 3, but with ch3 instead of ch4, any time you are asked to make this kind of pattern round. 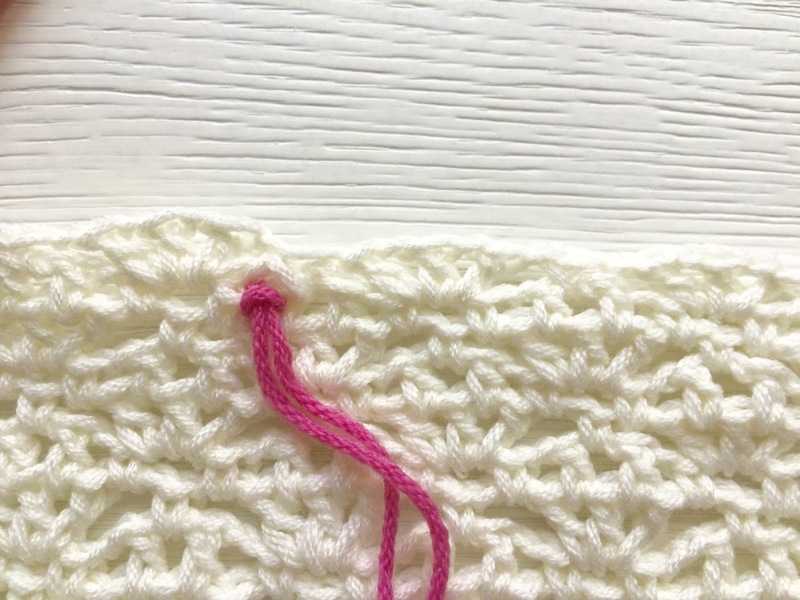 Round 35: ch, in next ch2 sp from previous round yarn over, then yarn over in between next two dc from previous round and sc2tog. 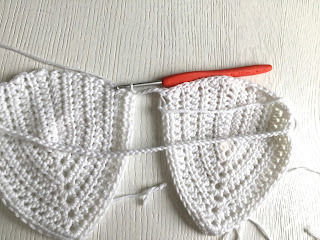 continue in pattern until you reach next marker. 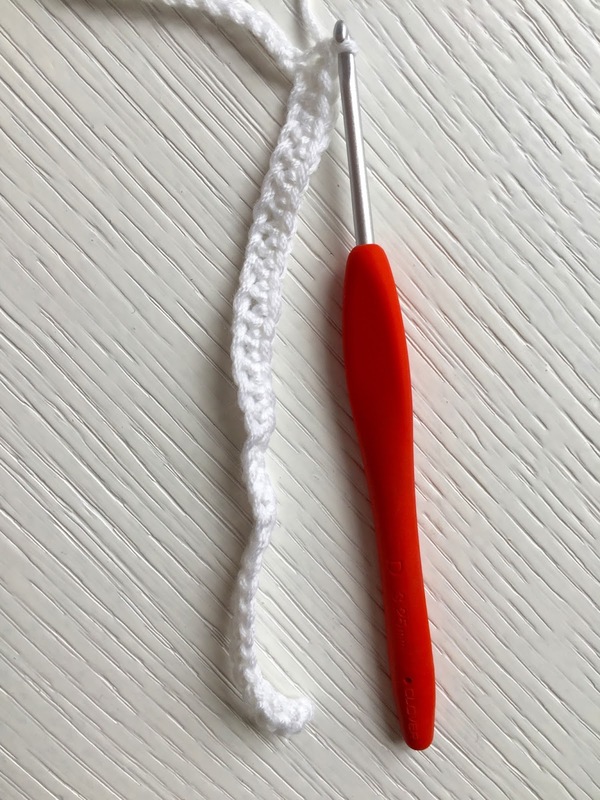 Round 36: ch, dc in between dc from previous round twice, continue in pattern until you reach the next marker, you will have two : [dc in between dc from previous round] twice, sparated by a ch, then continue in pattern. 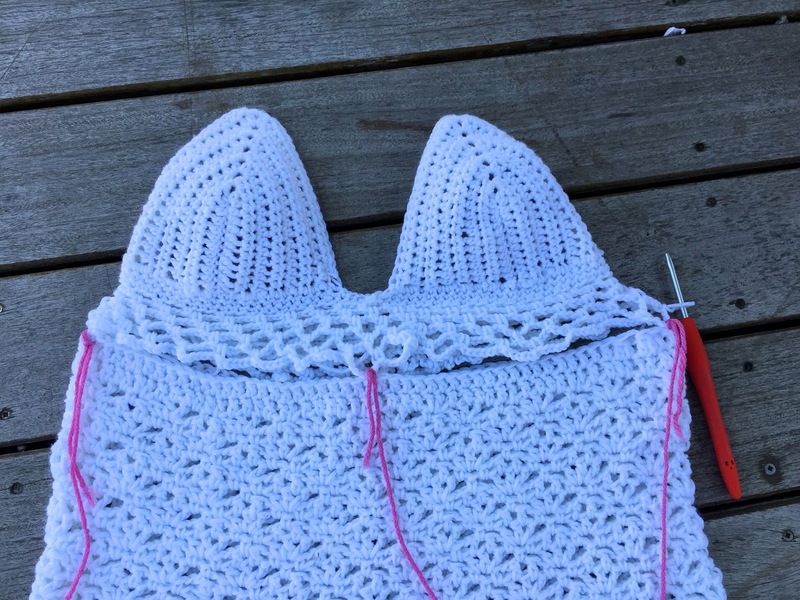 Round 60: repeat round 59, Fasten off. 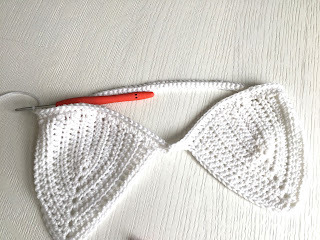 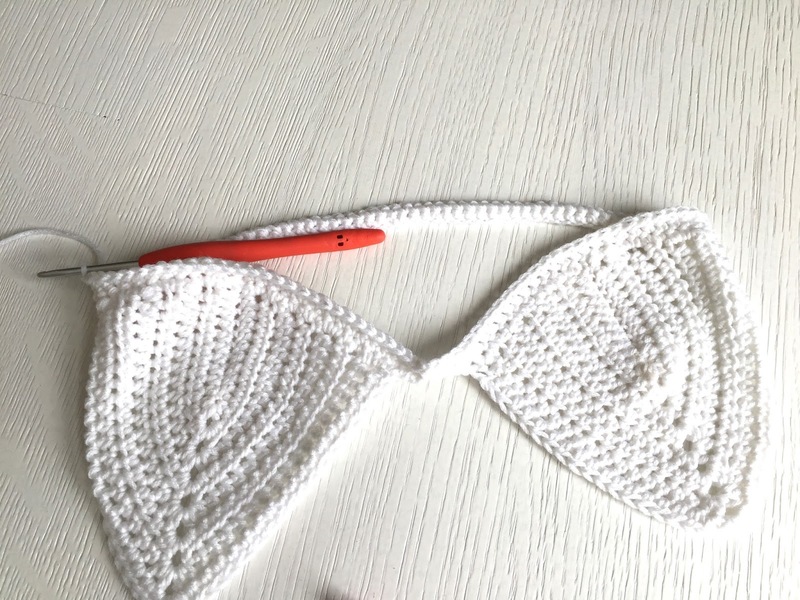 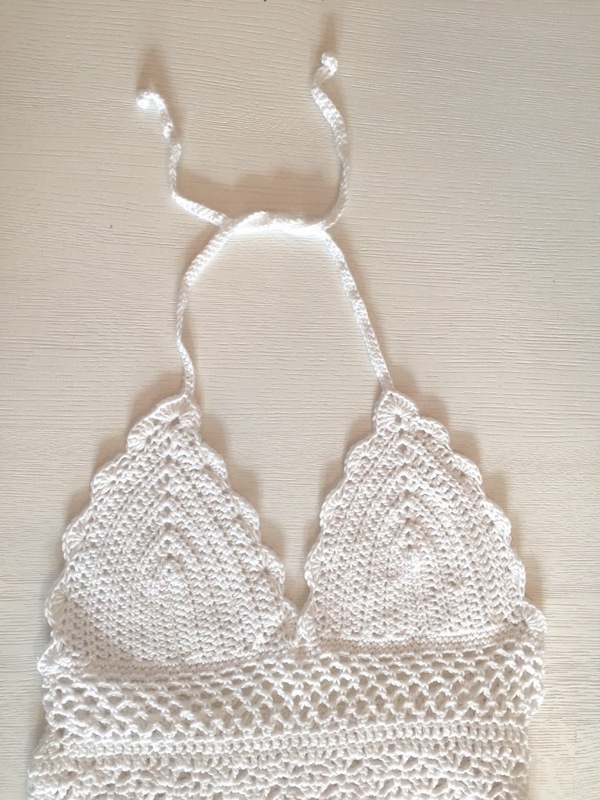 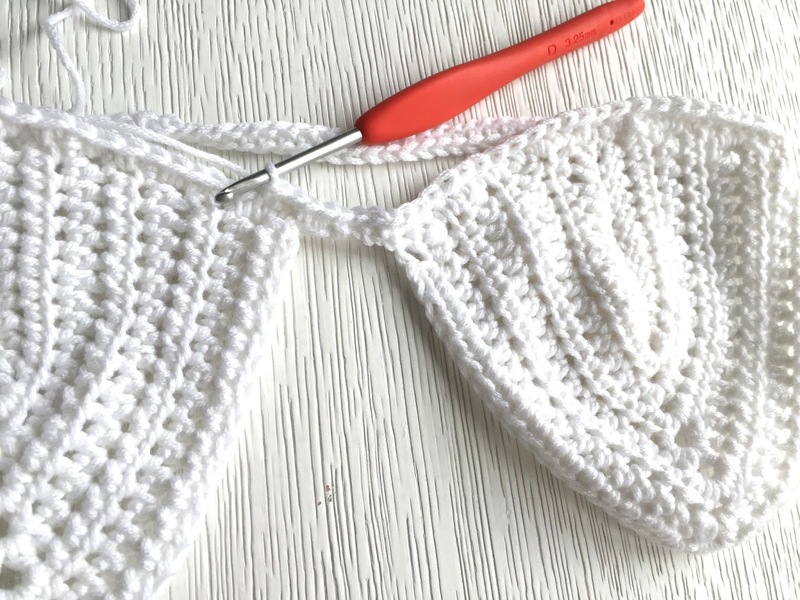 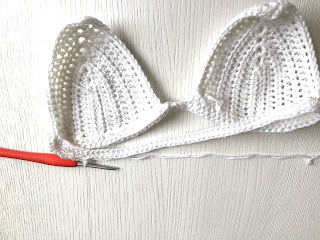 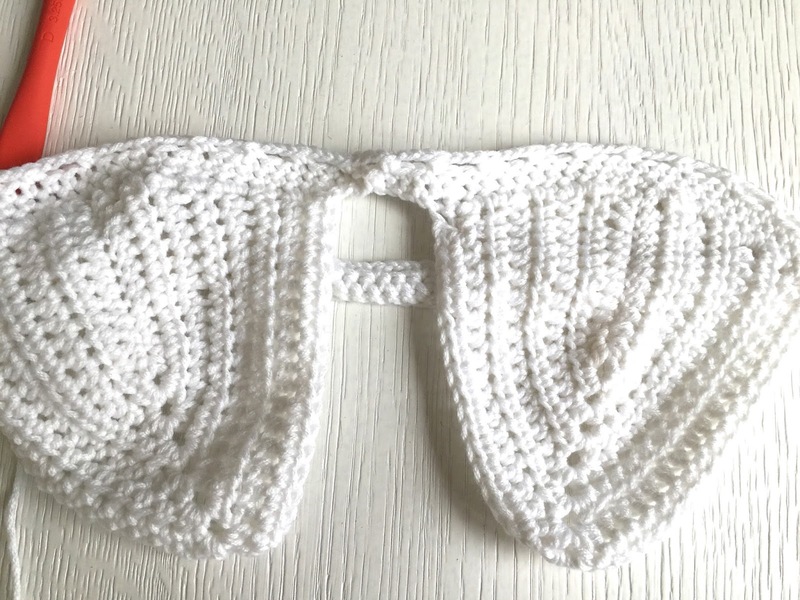 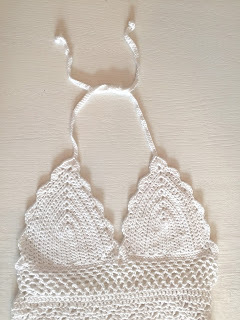 You will continue to work from your bikini top and assemble it to the body now, ch2, sc in next dc from the body, ch2, and sc in next ch4 from the bikini top. then ch2 again, sk a dc from the body, sc in next dc, ch2 and sc in next ch5 sp from body, and continue like so all around the body. 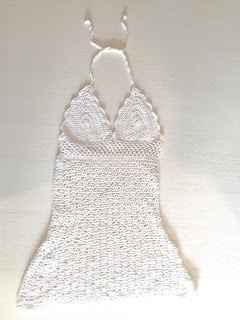 I have been looking for a dress like this. 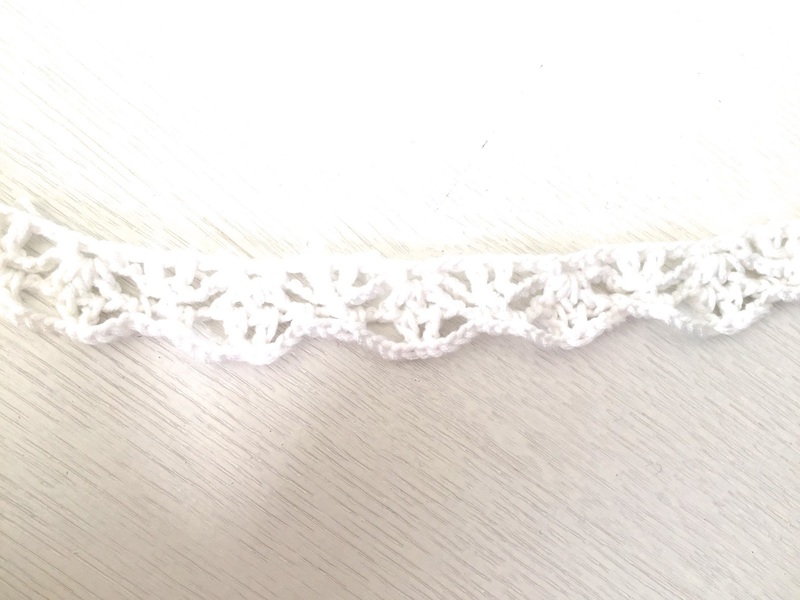 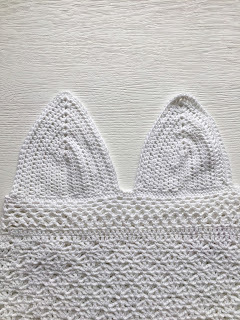 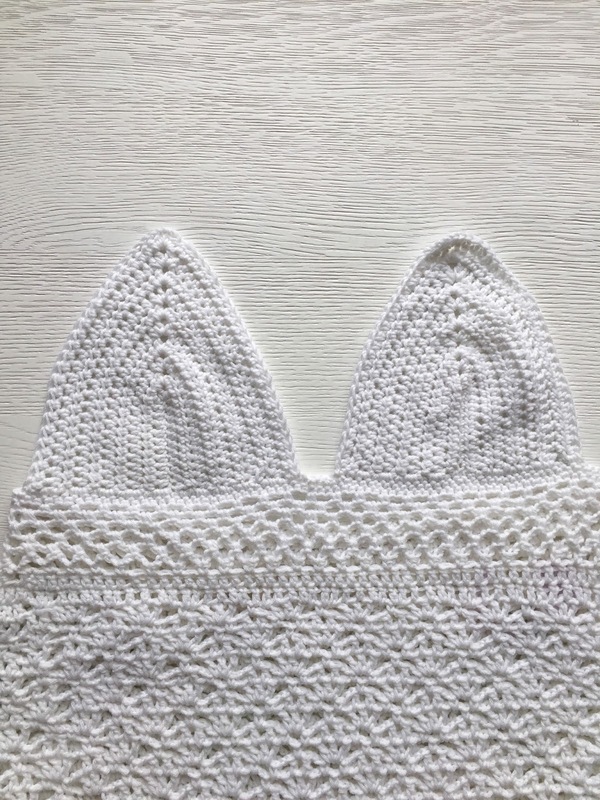 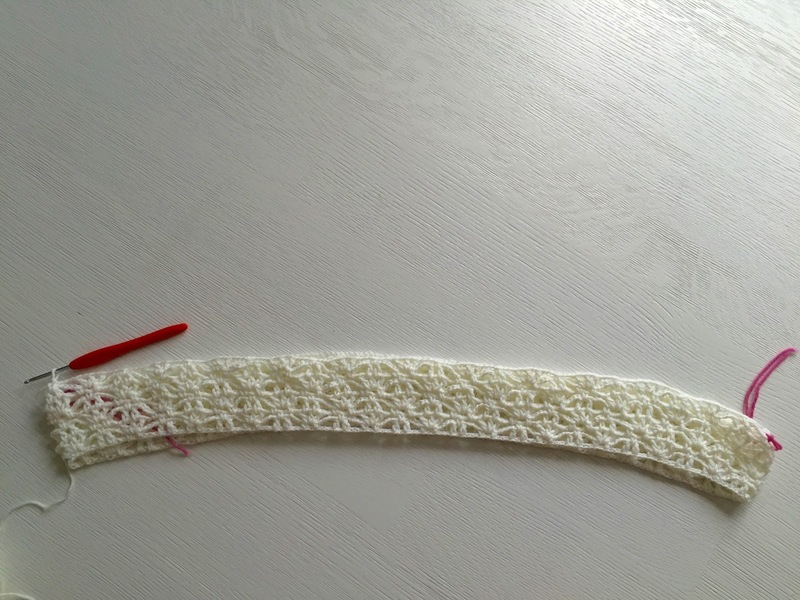 What size is this pattern? 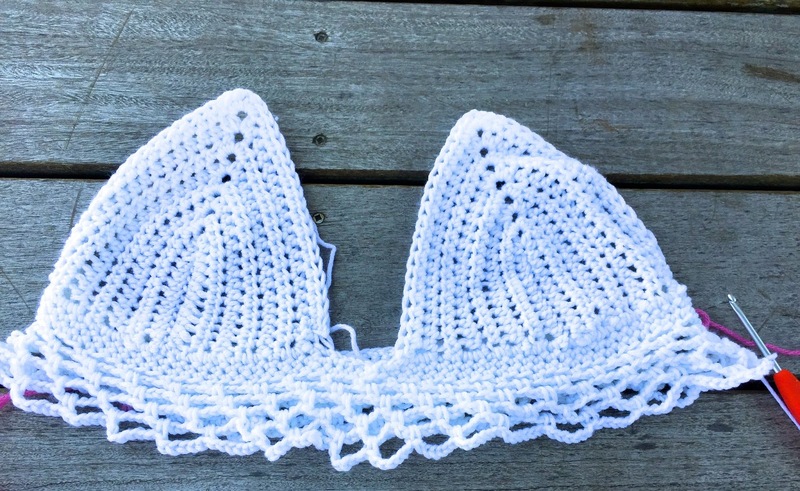 A very pretty and youthful project. 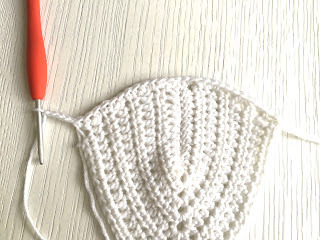 It looks good!